The Best iPhone 7 Cases, Right Now! There is an endless sea of phone cases out there to choose from, that’s why I’ve taken the time to research and compile a list of the best iPhone 7 cases so that you don’t have to! Be sure to bookmark this post, as I will add even more cases as they are released over time! I’ve managed to survey both men and women to get opinions for which cases they liked the best before I reviewed them. Out of the initial suggestions, there were a few that didn’t quite make the cut. 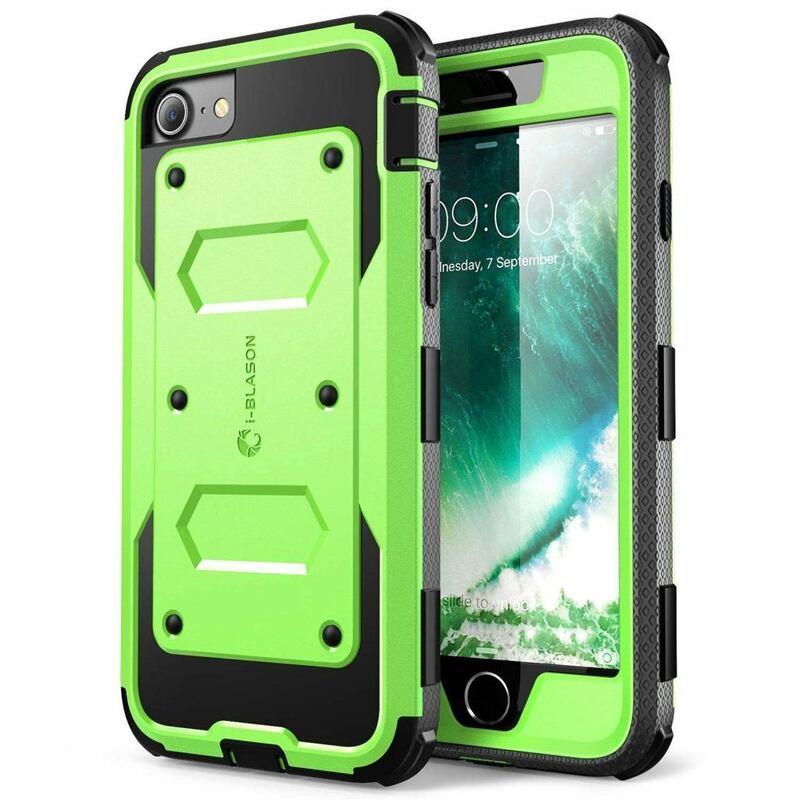 I’ve only listed cases in this “Best iPhone 7 Cases” list which I would recommend to be a safe investment for your valuable iPhone 7 or iPhone 7 Plus! If it’s not on this list, it’s likely for a good reason and less-likely that I’ve just overlooked it. Though, if you feel I should of mentioned a particular case, let me know in the comments below! 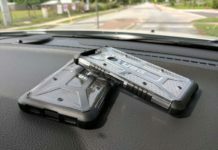 The Monarch Case from UAG (Urban Armor Gear) sits at the top of my list only because it is the closest to “perfection” from a protection & usability standpoint, while maintaining some style. 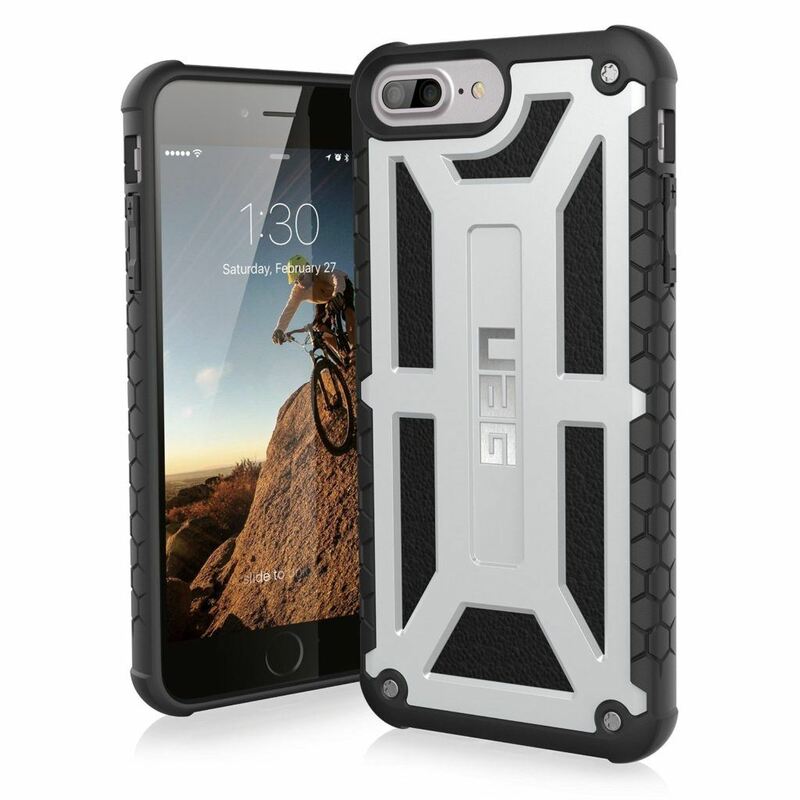 The entire UAG case lineup is primarily targeting those that have an active lifestyle and find themselves on a variety of terrains and situations (or are surrounded by children) that call for additional protection for their phones. 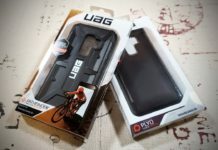 UAG cases, do the job, very well. So much in fact, that I’ve covered these cases in a separate UAG iPhone 7 Case review. Color Options: Platinum and Graphite. The UAG Trooper iPhone 7 case, meets military drop-test standards (MIL STD 810G 516.6) and it gives you everything that you can expect from a quality standpoint, similar to what you’ll find in the previously mentioned UAG Monarch series. The key feature with the Trooper, is it’s ability to store up to 4 credit cards, gift cards or ID’s. The back panel flips open to reveal your card storage compartment and it snaps closed to keep the contents secured. 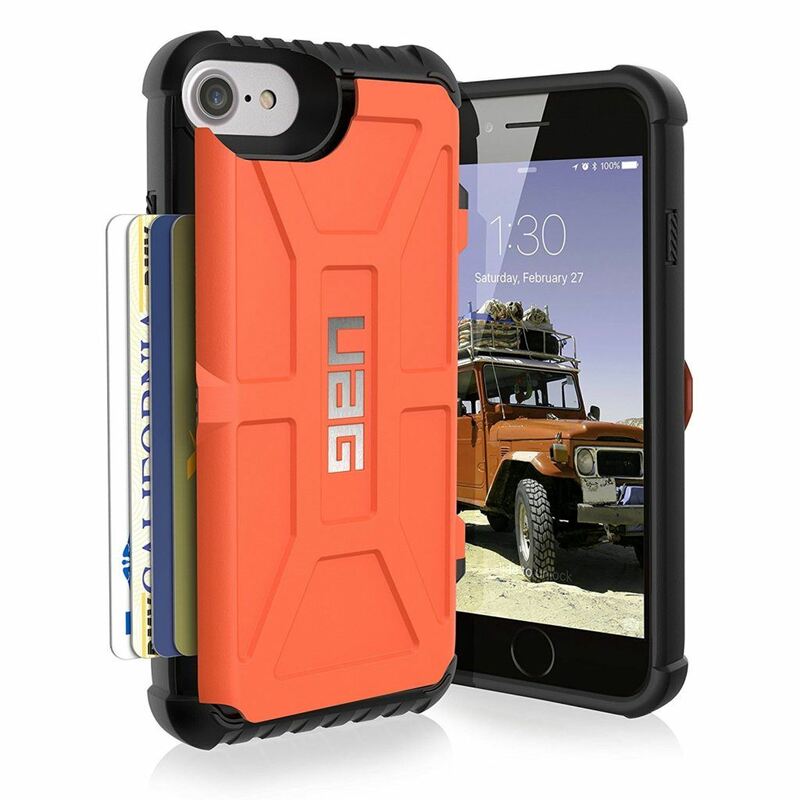 While this case does add a bit more bulk than any others from UAG, it’s designated purpose is to replace the need to carry around a separate wallet. Color Options: Black, White and Rust. The Cygnett case really stands out in just enough ways. It has the grip, a great fit, two-tone colors and buttons that transfer the tactile feedback from the physical ones in your phone. 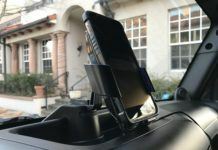 If you’re like me, you probably haven’t heard of Cygnette, but they happen to make a few mobile accessories ranging from bags to car mounts, tablet cases and more. Cygnett hasn’t been able to keep these things in stock so be sure to grab one while you can! You won’t be disappointed, unless you have an iPhone 7 Plus, which they don’t yet make one for. I will update this post once it’s available! Tech21 has been one of my long time favorites next to the UAG brand. 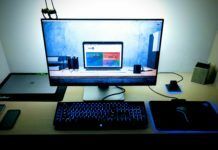 Partly because they’ve been one of the few that can reliably produce a long-lasting, functional case. This year, they’ve expanded their iPhone lineup to a few additional designs than compared to previous years. 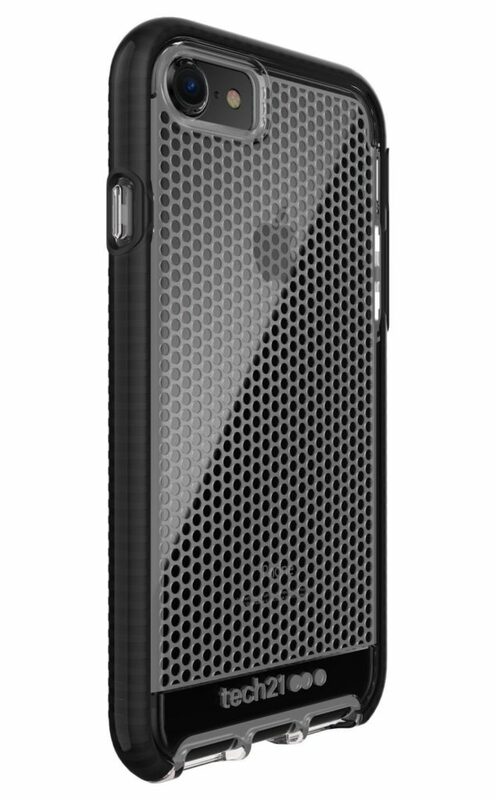 The Tech 21 Mesh case, I recommend and prefer over their Elite Case, only because it adds a bit more flare. The Mesh case seems to have a bit more grip too. If this case came in a matte finish, it would be the only change making it better! This option might come at a bit of a surprise for some of you, but this is one of two cases from SUPCASE that I would recommend. 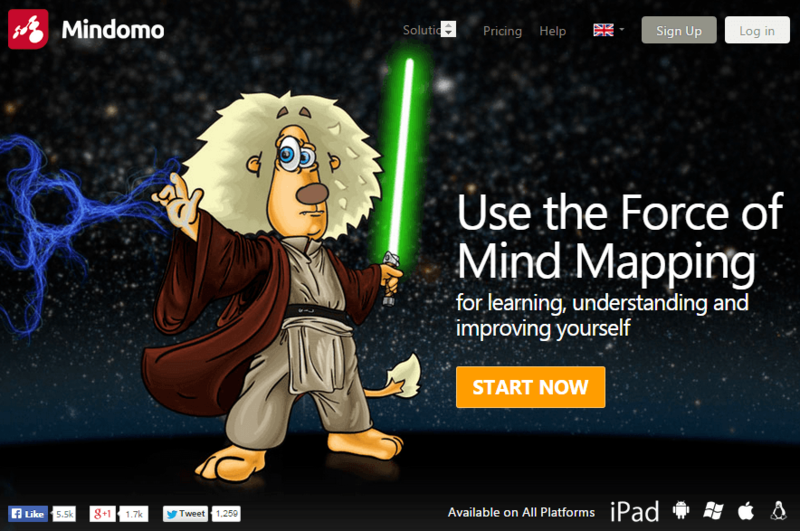 While I haven’t been very excited about any SUPCASE in the past, they’ve done something more notable this year. They’ve taken what I dislike about any clear cases and have added a silicone-like border that provides grip. Clear cases tend to be boring. With the Unicorn Beetle Series (odd name, I know) they’ve created a clear hybrid case. It has a modern bezel design that surrounds your iPhone 7, which also happens to provide grip – unlike traditional clear/plastic cases. The cool thing with having a clear back, is that you can get extra-creative by applying iPhone 7 Skins under your case! 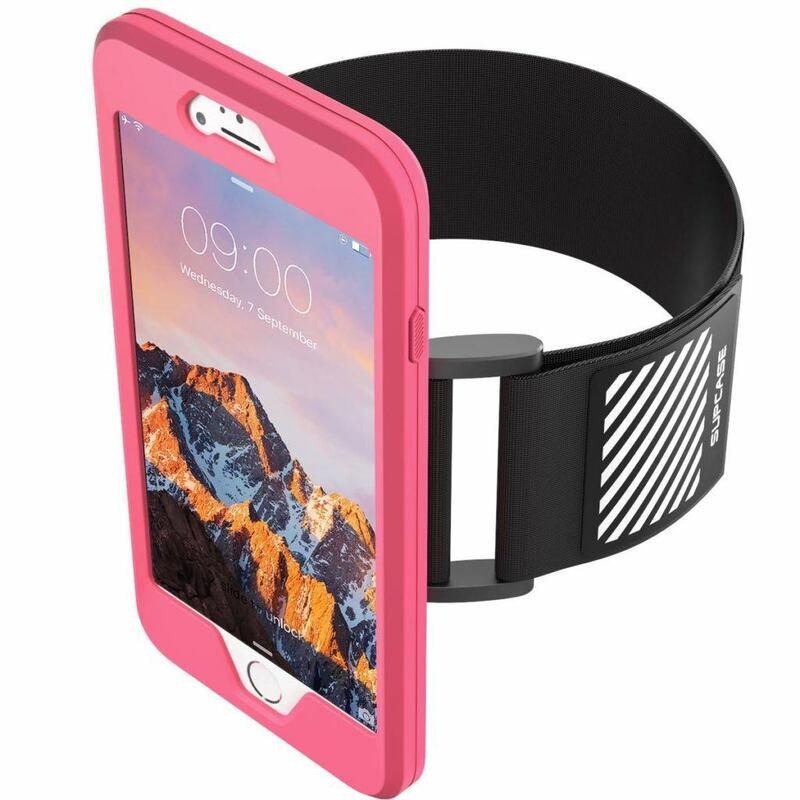 This Armband Case from SUPCASE, solves a problem which no other armband yet does in the market. It allows you to use the Touch-ID fingerprint sensor on your iPhone 7 since the screen isn’t covered by a cheap screen protector found in other armbands. The case can even function standalone without the armband. That’s a major two thumbs up! Your iPhone 7 will sit into the stretchy silicone shell to hold it into place while you run. The armband is adjustable as one might expect. Since the bands surface area is minimal, it helps cuts down on sweat underneath. 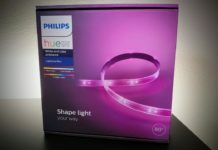 While it won’t hold anything extra like some of the competing armbands do, such as keys or credit cards, it’s still a great option. P.S. 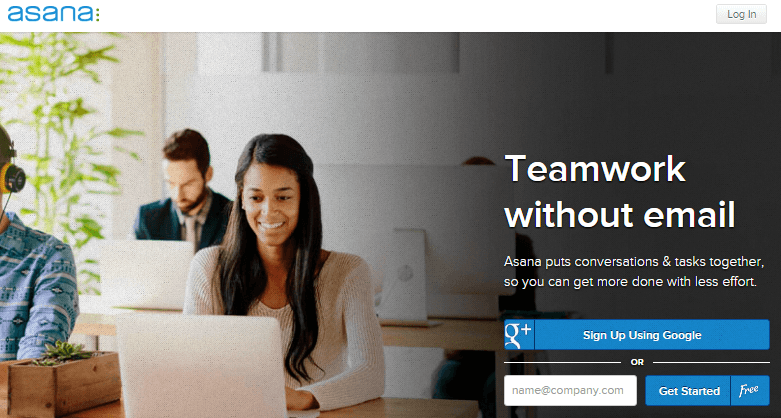 – It’s backwards compatible with the iPhone 6/6s or 6/6s Plus too. “10 Foot Drop-Tested,” but never mind that, this case has the very BEST grip you can find on any phone case. The silicone “lines” designed into the case, not only hold up surprisingly well, but they just work really good. Speck has produced a similar design case every since the iPhone 3G, maybe even the first iPhone. I remember, because it was the case I put on my very first iPhone (3G). It’s seen some slight improvements over the years, but there is a reason it’s stuck around. The Speck Presidio Inked cases are some of the best quality art-printed cases you can find. Product with a high quality sublimation artwork transfer process, they are a joy to look at. With 6 different artwork choices to choose from, you won’t be disappointed if an artistic case is your thing. Especially if you are into space themes – check out the Milky Way and the Moon Shot prints! For an extra level of customization, you can apply a matching wallpaper to your iPhone 7’s background. The Speck Presidio Inked case completely surrounds the sides and back of your iPhone 7 while providing the screen lift necessary to earn the “great” case title. This case, delivers in more ways than one. Color Options: Darkmoon Black Metallic/Black, Floweretch Pink Metallic/Magenta, Fresh Floral Rose/Magenta Pink, Marbled floral Peach Matte/Marine Blue, Milky way Black Glossy/Black and Shibori Tile Blue Matte/Marine Blue. Another great grip, with a fantastic design from a hybrid case. 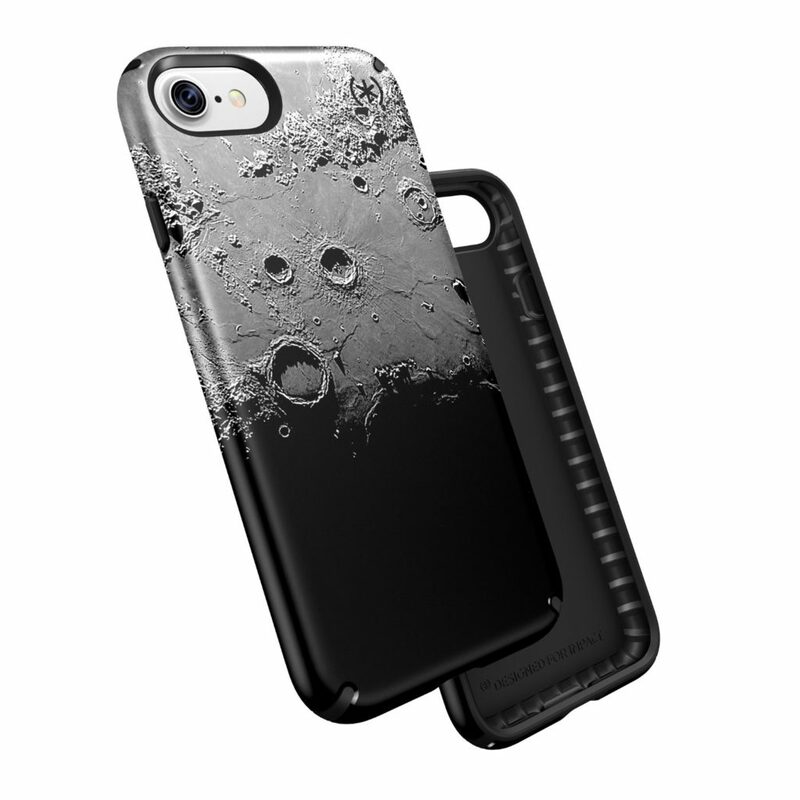 Caseology has really put themselves on the map this year with their iPhone 7 cases. Well, at least enough for me to take a closer look. I’ve seen their cases in the past, but it wasn’t until now that it’s really caught my eye for a sound recommendation. It feels great in the hand and even though it’s a hybrid, once attached you wouldn’t ever know it wasn’t a one-piece case. Take notice to the silicone “lip” that it still provides to protect your screen from surface damage. A big win. Just be prepared to clean out those grooves every once in a while. No big deal however, since it’s removable! It’s also one of the best bargain cases you can find for the features! Color Options: Black/Dark Blue, Pink, Cherry, Navy, Turquoise, Black, Burgundy & Black/Gold. Similar to the Wavelength (it’s also hybrid), the Envoy adds a touch of class with different finishes which include either carbon fiber or faux leather. Another great case, worth showing off, especially for those of you who are big carbon-fibe fans. While it may not provide as much grip as the Caseology Wavelength, the carbon fiber and faux leather are a definite improvement over slippery plastic backs. I would recommend this case for the working man or woman who needs a case that shows you really mean business. It has all of the right features, while looks to be one of the classiest designs I’ve come across for the iPhone 7. Caseology earns a 3rd mention in the list with the SkyFall series. The name reminds me of the James Bond movie, although the case design reminds me nothing of it. It’s a good design and the logo placement is still discreet like the Caseology Envoy. 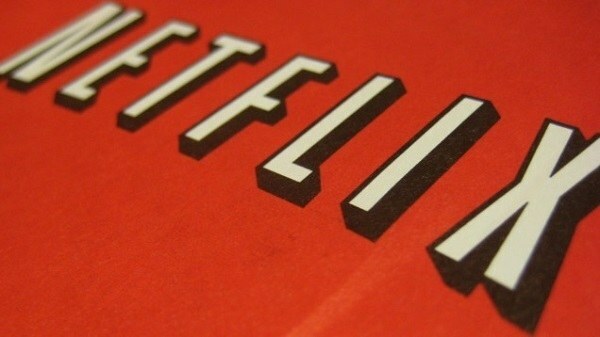 Logo’s can really ruin some designs, let me tell you. But in this one, it’s a nice addition. The crystal clear backing is again useful for any skin additions. The Caseology SkyFall meets the latest military standard [MIL-STD 810G-516.7], passing 26 steel drop tests. The SkyFall has matching colors for every iPhone 7 iteration and it looks really good in Jet Black when paired with the Jet Black iPhone 7. Color Options: Gold, Jet Black, Silver, Rose Gold and Matte Black. Incase is another one of those well known brands whom have been around for a while. 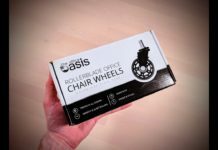 If you haven’t heard of them, you might need to get some more sun every once in a while! I was pretty impressed with the Incase Textured Snap case when I first picked it up. It’s nearly in a category all on it’s own. A phone case with a cloth-like texture on the back isn’t something you see very often and I am confident that it will hold up quite well. Be careful however, if your slipping this into bluejeans, as the dye might transfer easily! It provides the grip we all typically look for in a case and it feels uniquely comfortable in the hand. While unique, it’s not the cheapest case to ever exist but for someone who wants something that feels great and isn’t in every other persons hand already, this case is definitely for you. Color Options: Heather Black, Heather Deep Red and Heather Khaki. The Iconic design of which Incase was originally known for under previous iPhone models. While it may not be the most stylish phone to ever exist, it’s great at solving a very particular problem. It docks! Like all of the Incase Slider cases, the interior sports a felt inlay to keep your phone scratch free while sliding it into and out of the case. The bottom portion of the case slides downwards and is completely removable for docking. If your phone frequents dockable accessories, then this case might be what you’ve needed all along. No more tearing off your entire iPhone case just to plug into your charging docks! Color Options: Metallic Navy, Metallic Grey, Metallic Gold and Metallic Lavender. The Incase Icon is mainly for the minimalist who prefers only subtle flare. While it’s still considered a two-tone, with the exception of the black color, it won’t stand out amongst other cases as much. What it does have however, is the mesh-style back which enhances your grip. Additionally, this newer material which Incase coins as “Tensaerlite,” provides an upgrade to the shock absorption properties over firmer materials such as TPU, for example. The Tensaerlite material provides a nicer grip, especially when you consider the built-in rear facing mesh pattern. If you’re looking at the Incase Icon image from a mobile phone, you might have to zoom in to see the mesh pattern, but it’s really there! Color Options: Black, Navy, Lavender and Olive. If you’re into water sports or like to have your mobile companion tag along with you while swimming, then Lifeproof FRĒ is the ONLY water-proof case you should set your eyes on. Lifeproof created a huge splash in the case market, so much in fact, that Otterbox decided to acquire them. Don’t bother with any other brands that claim to have a “Water-proof” case, as you are risking far too much by straying away from Lifeproof. 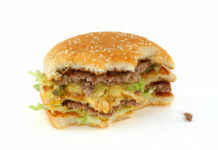 While it’s on the pricier side compared to most other cases, it has a very specific and important purpose. That is, to not leak water inside the case when submerged. 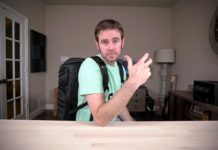 So, why risk it with a cheap-o case from somewhere else? It’s a great case and it works extremely well. 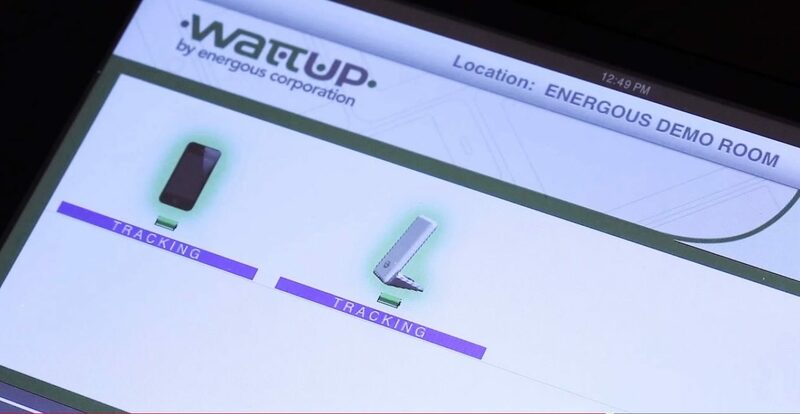 Each port is covered by it’s own “plug” to provide extra leak-proof protection. You can optionally add-on a belt clip, bike + bar mount, an armband or even a suction mount! Color Options: Asphalt Black, Twilight’s Edge Pink, Base Camp Blue, Second Wind Grey, Ember Red, Sunset Bay Teal, Realtree Xtra Lime and Realtree Max-5 Orange. Spigen has become one of the leading case makers within the last 2 years, simply because they’ve been able to deliver unique aesthetics in a wide range of cases. Spigen is also known for delivering a range of low-to-high levels of impact protection within the lineup. From ultra-thin to rugged. They’ve also put themselves on the map for being some of the best priced cases on the market. As you can imagine, that’s quite an easy way to gain popularity. I find that more and more consumers are leaning towards Spigen since they have such a variety and are easily obtainable on Amazon, in many instances, delivered on the same day for Amazon Prime members. 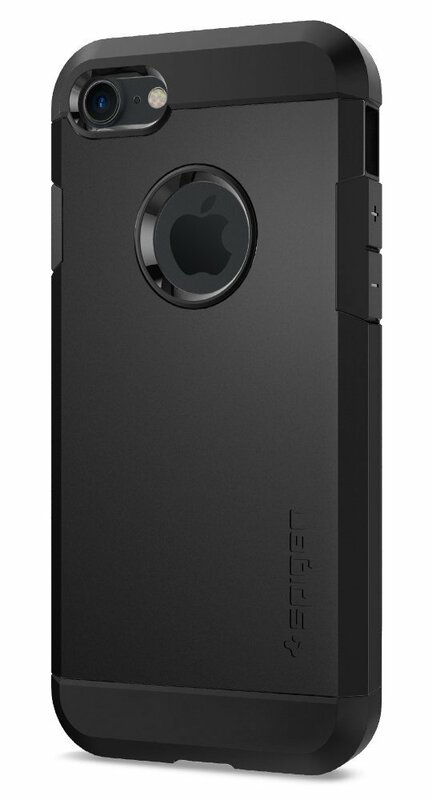 The Spigen Rugged Armor case is a great option, easy to install or remove and holds up well. 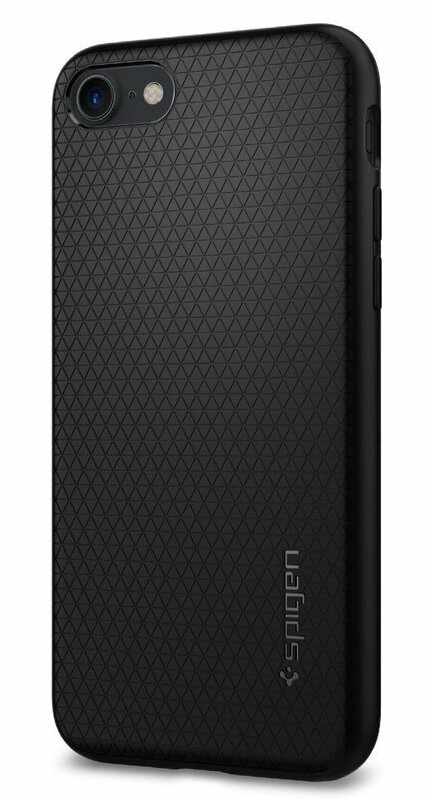 It’s what I would describe as a mid-level impact protection design and it’s matte TPU material isn’t slippery. The carbon fiber top and bottom is a nice touch. I originally thought that the carbon fiber material would of been a cheap sticker that would peel off easily, I was surprisingly wrong. It’s a great case! 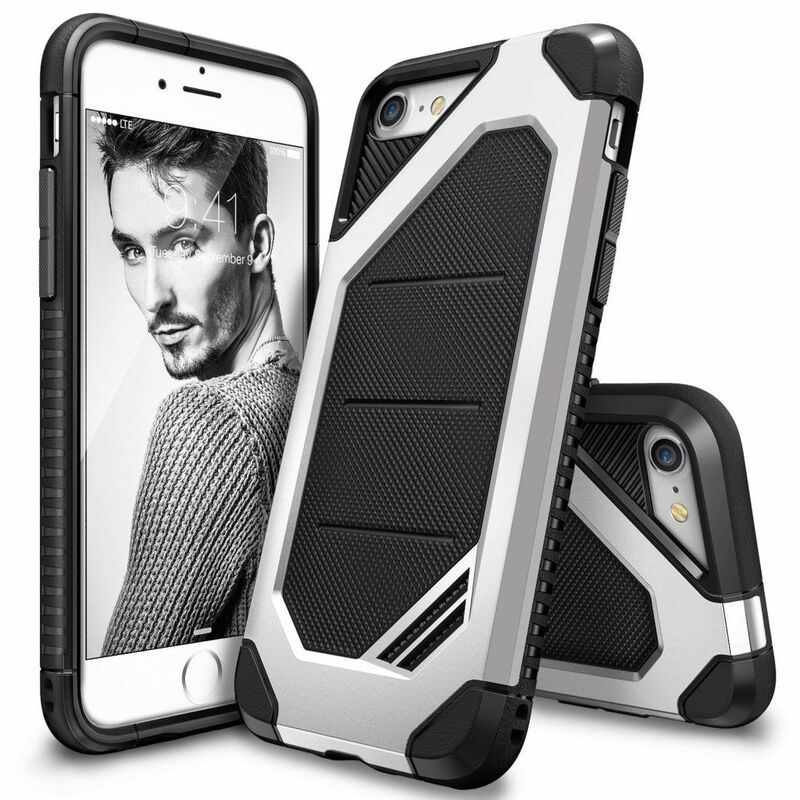 The best selling Spigen case to date, the Spigen Tough Armor. It’s a “bold” choice being that it’s one of the thickest options from Spigen that doesn’t also offer any built-in wallet features. The case provides what Spigen calls “Extreme Protection” and after looking at this case up close, I can certainly agree that it will protect what’s inside. 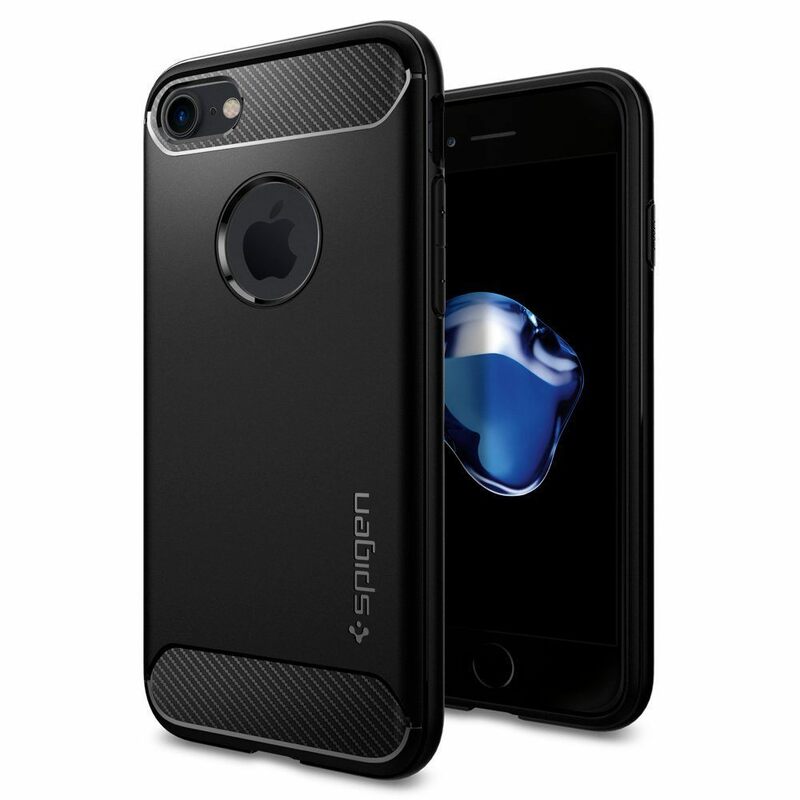 The Spigen Tough Armor is a sleek dual-layered (hybrid) case which is made from TPU & hard shell plastic or Polycarbonate(PC). It’s also bit larger than other rugged type cases, so keep that in mind when looking for a case that you can easily grip. Though, if you are sporting an iPhone 7, that’s less likely to be of a concern. 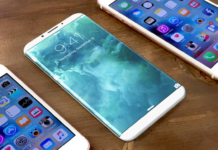 Only with the iPhone 7 Plus, might sizing begin to come into the equation. 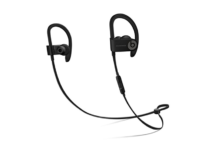 Note: They also offer a clear TPU insert color option to go along with the exterior shell component. 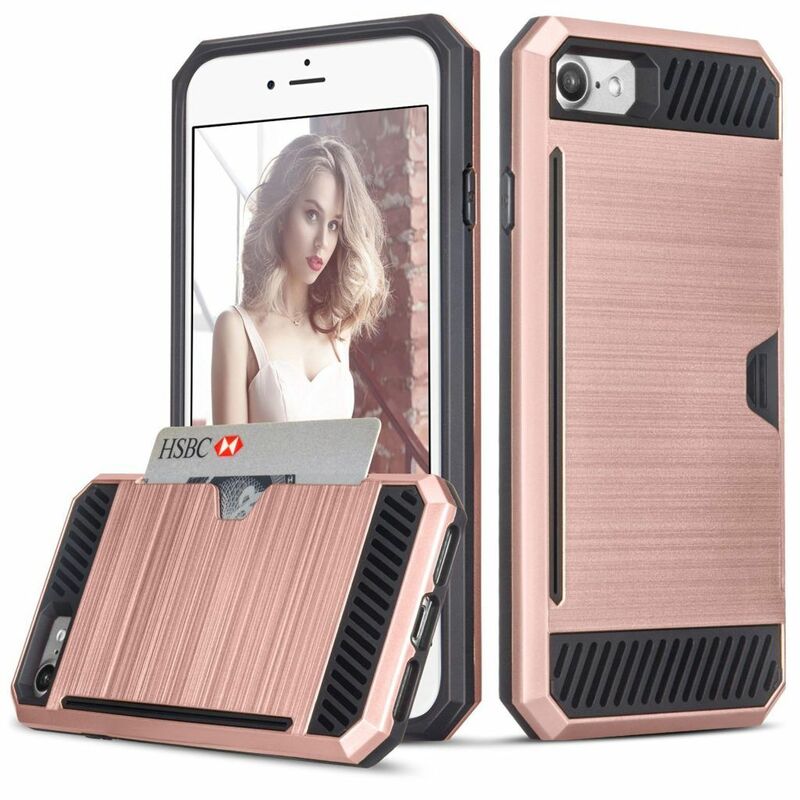 This is a unique combo that will allow the color of your iPhone 7 to show through the borders of the case – currently only available in the Rose Gold & Satin Silver option. Be sure to check out the “Jet Black” design since it will blend perfectly with your shiny “Jet Black” iPhone 7. The iPhone 7 Plus version, includes a kick-stand, while not the best it will do just fine if you go easy on it. Color Options: Black, Jet Black, Rose Gold, Satin Silver, Champagne Gold and Gun Metal. It’s a great fitting case, that includes the better of the two Spigen Kickstands built into the phone. 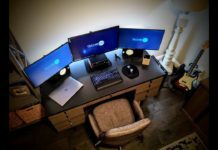 The stand, however does stick out a few millimeters from the case, therefor it’s not “flush.” If your in need of a stand on your case, then this is one of the best cases with a built-in stand around. 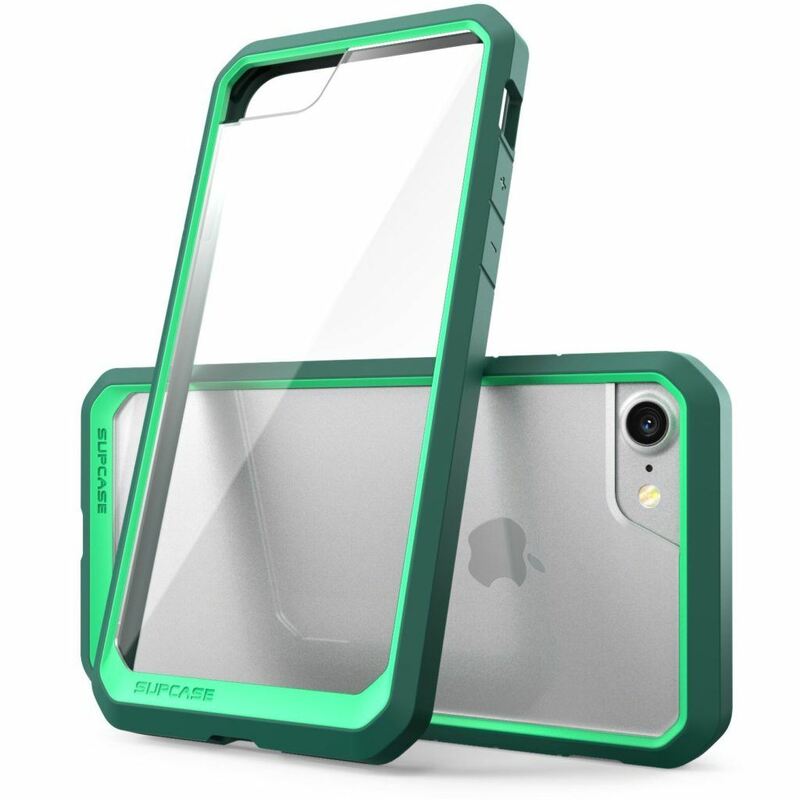 If you’re interested in this case, but don’t want a stand, you can still buy the Spigen Ultra Hybrid without the “S” and choose from 4 total color options. 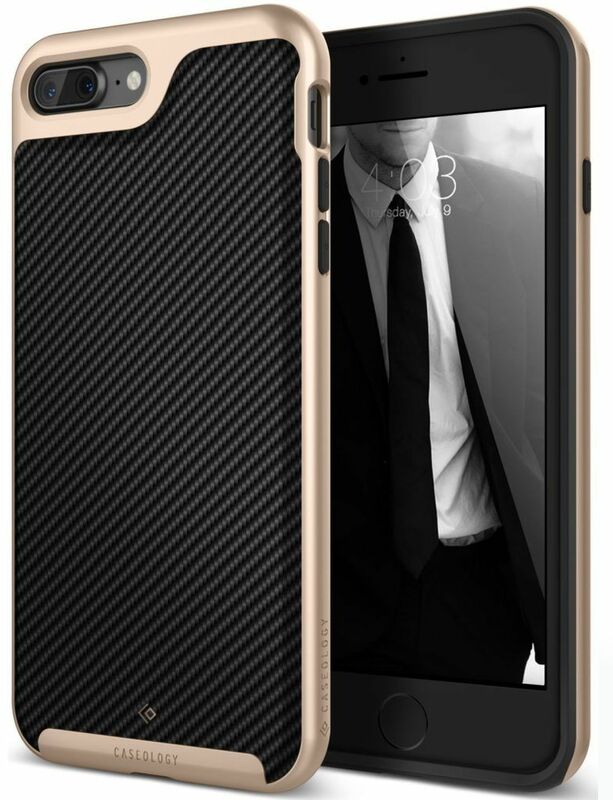 Ok, Spigen makes a ton of great cases so it’s not surprising that there are quite a few in this “Best iPhone 7 Cases” list, but this is one of the coolest “slim” cases for the iPhone 7. It fits perfectly, is very thin and makes it feel as if your iPhone is running around naked. No, seriously, the case is barely there. This is partly due to the fact that the iPhone 7 is so slim even with out a case, but to have a thin case on top of it, barely makes it noticeable. 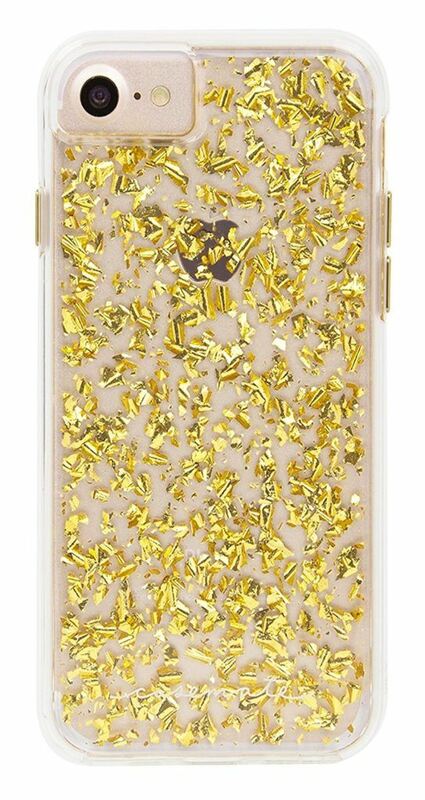 If you’re in the market for a “barely there” case, then this is for you. It’s extremely light, fits great, and provides good enough protection for light drops and will prevent from table scars. The slightly texted design in the back is an added bonus for grip. It would be nice to see more colors offered, but currently there is only just one. Another great Rugged Case, but it’s missing one thing. The high-price tag. This is the best all around “360” protection which includes a built-in screen protector for the price. The i-Blason Armor Box hits on all of the right areas with design, texture/grip and usability. The dust ports are a nice addition. Dare I say this is the cheaper alternative to an OtterBox? It’s not waterproof like the Lifeproof case, but if your not really looking to keep your phone completely dry and instead, just away from the dirt – then this is a solid buy. It’s also a great alternative for the kiddos that got lucky enough to receive an iPhone 7 for Christmas! Color Options: Black, Blue, Green, White and Pink. 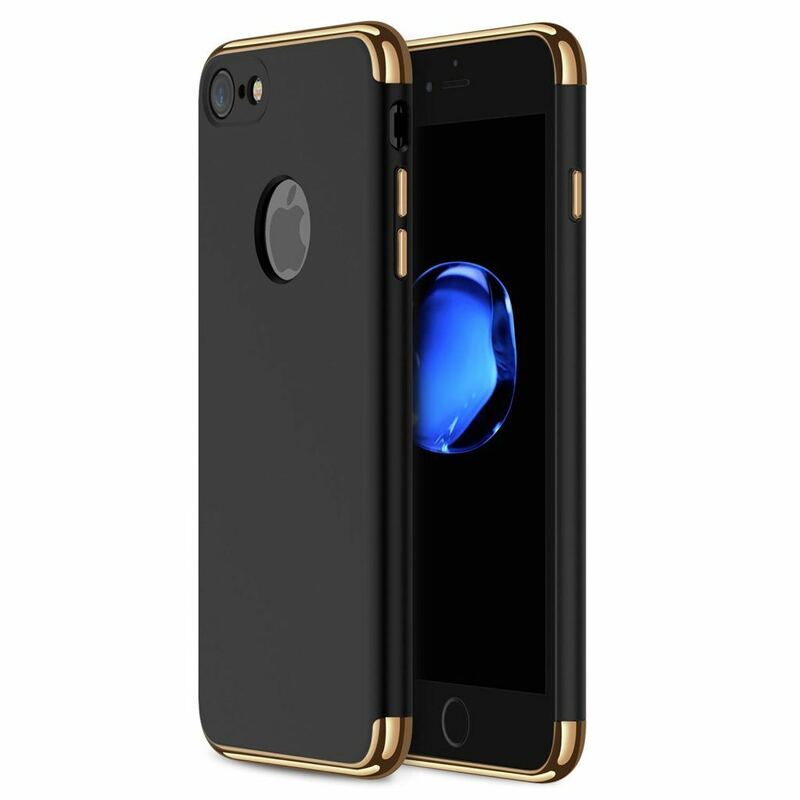 A shiny case for the iPhone 7 that protects! This is a stylish case that’s a great option for those who are looking for something that really stands out. LUVVITT isn’t exactly a mainstream brand but they’ve crafted a case that one might call “art.” Without the fancy paint and print work. 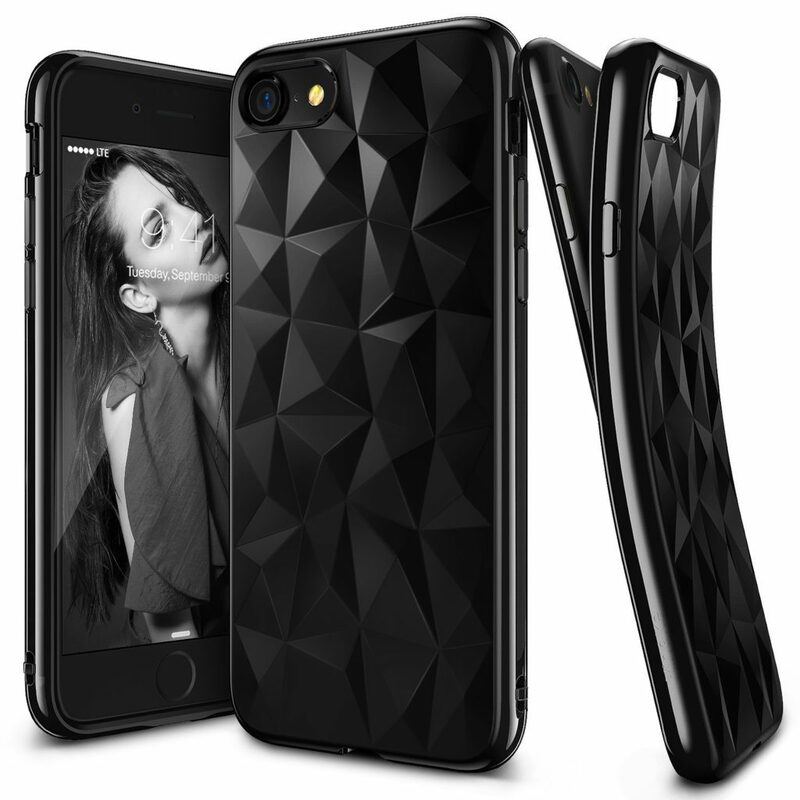 The LUVVITT Brilliant case is a Hybrid type design, where the exterior shell is attached after you’ve inserted your phone into the interior TPU case. The TPU interior covers all parts of the phone, as well as provides the screen lift “lip” that I like to see in most cases, making this is a stylish case I can easily recommend. 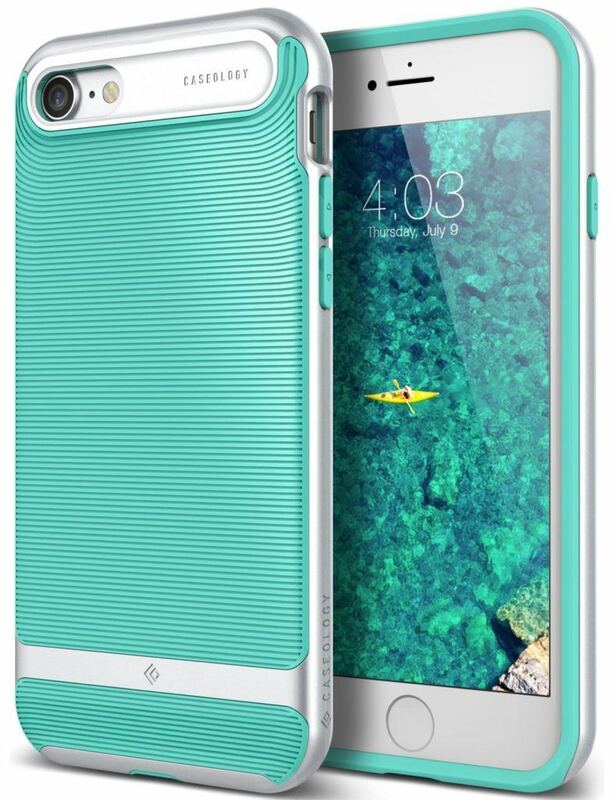 They’ve also opted to produce the case with colors that match every iPhone 7! Unfortunately, they’ve not yet released this model for the iPhone 7 Plus. If you’re wanting to extend the battery life of your iPhone 7 or iPhone 7 Plus, then sticking with Apple’s own solution is a very safe way to go. The case attaches to your iPhone, preventing the need for an “external” battery pack that you have to plug in via a separate cable. The “Soft-Touch” Silicone material isn’t necessarily my favorite, but at least it’s “Soft-Touch” which is better than a gel-like, squishy silicone. It’s still great. It would be phenomenal if Apple created a Leather alternative for a premium option. The Mophie Juice Pack Air, rings in at the 2nd best charging case for the iPhone 7. While it has a few more very worth features, it lacks a lightning charging port! 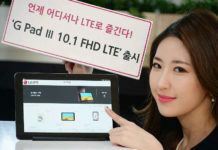 However, that’s not a deal killer, simply because it has built-in support for wireless charging! Awesome! Finally, a battery pack case that can also be used with all of those fancy QI-Enabled wireless chargers out there! This case is almost a dream. You get 2500+mAh of additional battery, plus the freedom from wires. 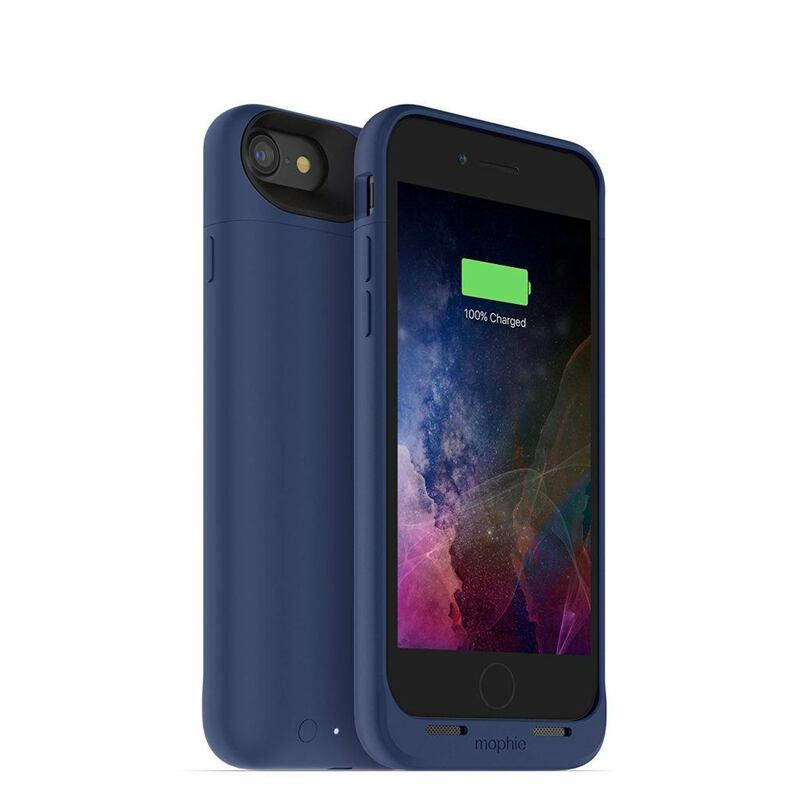 Additionally, you can find a handful of accessories that pair up very well with the Mophie Juice Pack Air case. 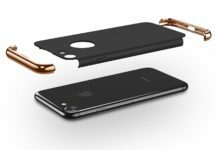 The Mophie Juice Pair Air, includes a hidden light-weight metal plate, which allows it to attach to a variety of magnetic accessories. Additional Accessories: Force Charge Wireless Base, Charge Force Vent Mount, Charge Force Desk Mount and Charge Force Powerstation. Color Options: Black, Blue, Gold, Rose Gold and Product Red. The X-Doria Rumble Series has a crazy cool design. This is definitely something you won’t see everyday as it’s by no means a “main-stream” case and it does have unique flare. It protects in all of the right places and you know it will do it’s job because of the bulky corners. While it’s another Hybrid iPhone 7 Case, it fits together well and the button placement is good. The “mute” rocker switch however might require a little bit of work if you have bigger than average fingers. The textured grip areas are very welcoming and help to compliment the unique design. 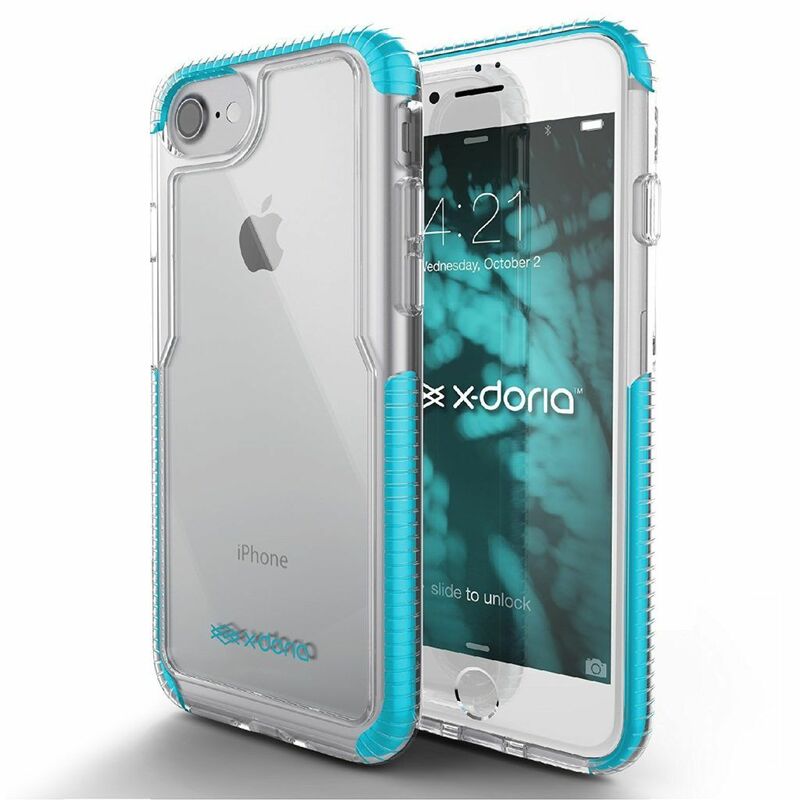 Another great case from X-Doria, the ImpactPro Series. This time it’s a clear single piece two-tone design. 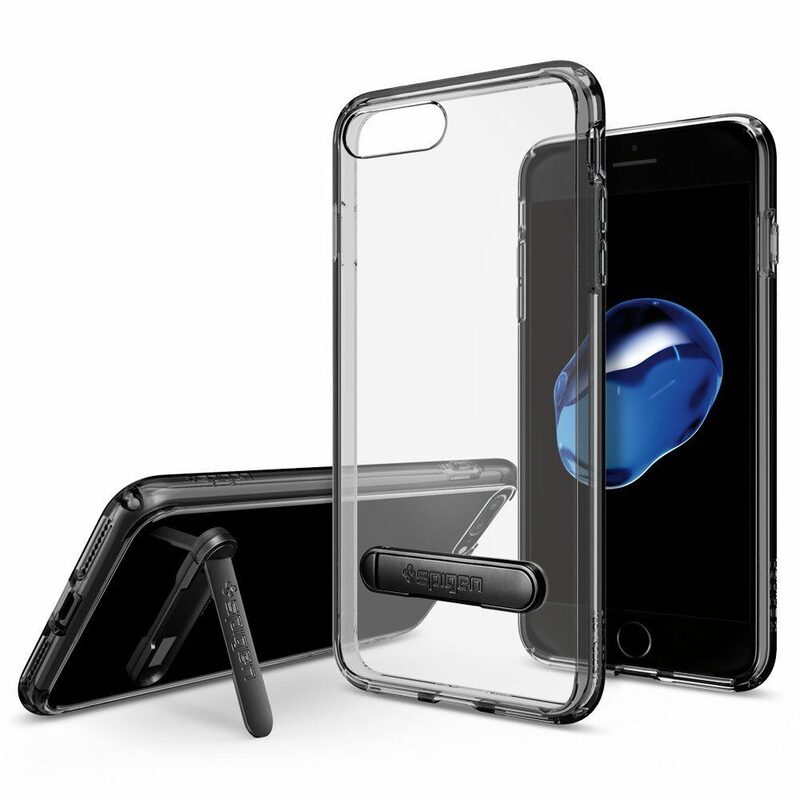 If you’re a fan of clear cases, this one is at the top of the “best clear case” list. Clear cases are always fun because you can easily add a custom iPhone Skin on your phone to let it show through the case. 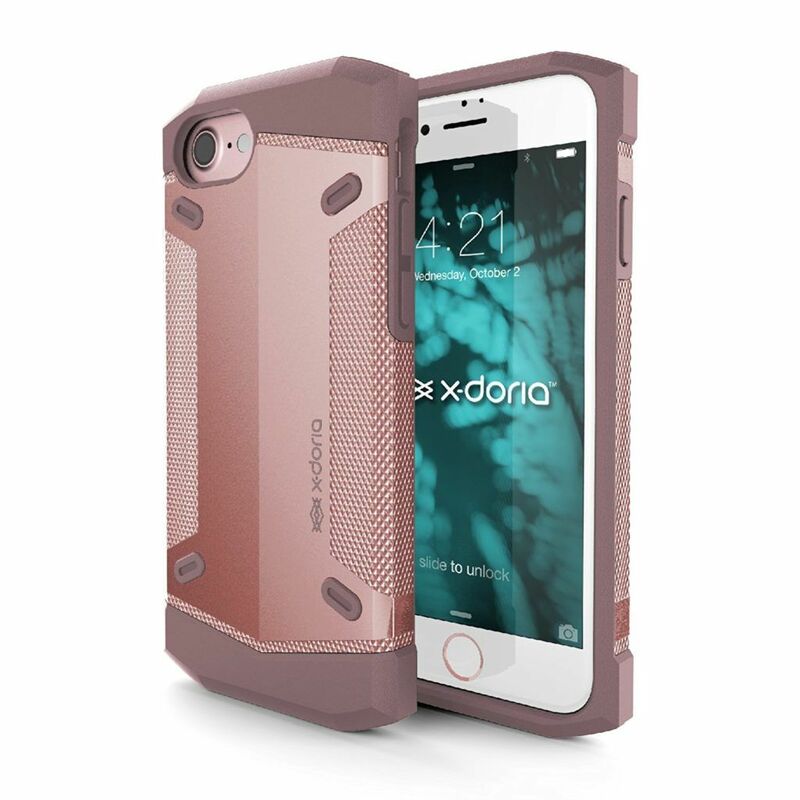 The X-Doria ImpactPro, is a light weight, textured-grip case that will provide the all around protection you need for your iPhone 7. It comes in a few cool colors that surround most of the border, just like you see with the teal option pictured above. The all black does have a “smoked” color plastic, so it’s not exactly “clear.” The other 3 colors come with a clear backing. Color Options: Black, Pink, White & Teal. The X-Doria, in a way, is a mash-up of the X-Doria ImpactPro and the Rumble put together. It has all of the protection from the X-Doria Rumble, but with a slightly different design. The Defense Series just barely made it onto this “best iPhone 7 case” list. After hitting all of the right check marks, it’s not much different from some of the other cases that can be had for a few nickels cheaper. But it does have a Iridescent color option on the bezel! The bezel attaches separately almost like a rubber band, which makes it a bit thinner than most typical Hybrid Cases. Color Options: Black, Red, Iridescent, Rose Gold and Space Grey. Ringke is another case maker that’s been around long enough to know what they are doing. This is a re-make of the 2016 version from the iPhone 6 which was at one time, an Amazon Best seller. The Ringke Flex S, sprinkles a little bit of everything good into a single case. Faux leather, carbon fiber, impact protection in the corner, raised lip, grip support, lanyard attachment and a less common feature – a raised lip in the top and bottom of the back. The raised “bumps” on the back, provide additional lift to protect the more damage prone areas of the iPhone. 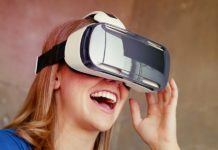 Both of which are never noticeable while holding, but it does provide extra shock absorption from a back-first drop to the ground. Color Options: Blaze Red and Deep Blue. The Air Prism from Ringke, is another clear TPU case, except I wanted to add it to the list since it’s possibly one of the most spectacular designs I’ve ran across for a “clear TPU” case. Trust me, I am surprised by how much better TPU cases have become over the years. It’s all in the details. The “Prism” effect in the Ringke Air Prism, is very classy and the subtle sparkle can be seen from across the room in most situations. The more light that hits it, the better. It works best with the Gold, Rose Gold, or the Jet Black iPhone 7, and less as well with the matte black iPhone 7. Protection and grip, is just as good as any other TPU case. It’s not meant to survive crazy falls or adventures. The Ringe Max, with the exception of the gold color, reminds me of something you would find in someones toolbox. It just looks efficient. It made the list because of uniqueness, along with protection. The Ringke Max comes in 4 color choices and it just might be the right design for some out there. It’s another Hybrid Case, so the interior TPU material will hold up as expected. The outer shell clips on in a slightly different way than other similar cases do, which makes this case less boring. 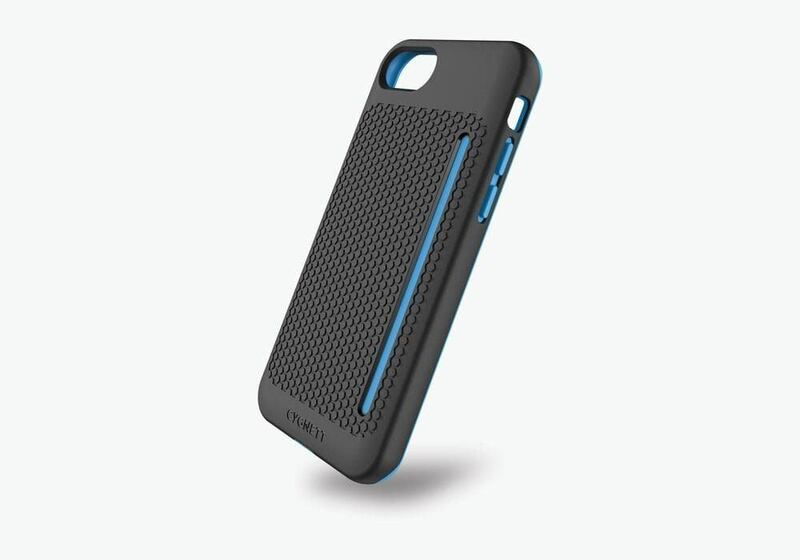 Grippy texture is found all over the Max Case. In the buttons, the side and the back. This is surely something you will find useful if your not a fan of slippery cases. Color Options: Silver, Rose Gold, Royal Gold, SF Black and Slate. I know it’s tough to find a good wallet case for women, and believe it or not, that’s one of the questions I asked while surveying. “What would you like in an iPhone wallet case?” The response was – they never hold enough and always require a purse anyways, so it defeats the purpose often times. While a wallet case will never fully replace a purse. The Ringke Wallet case comes very close to it. Not only does it hold cards, cash and change. It also sports an interior mirror for a quick touch-up! 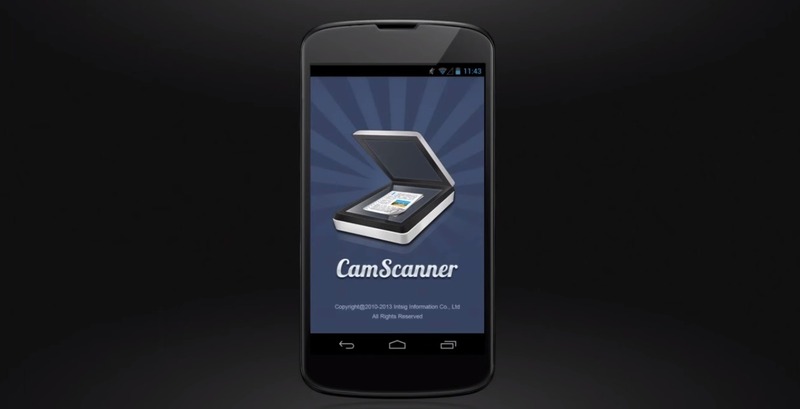 It includes a magnetic clasp and a sliding phone feature so that the camera can get a view while snapping photo’s. Lastly, the metal plate on the outside of the wallet gives it a nice finishing touch. It looks more like a purse or clutch than an actual wallet case. Color Options: White, Navy and Black. 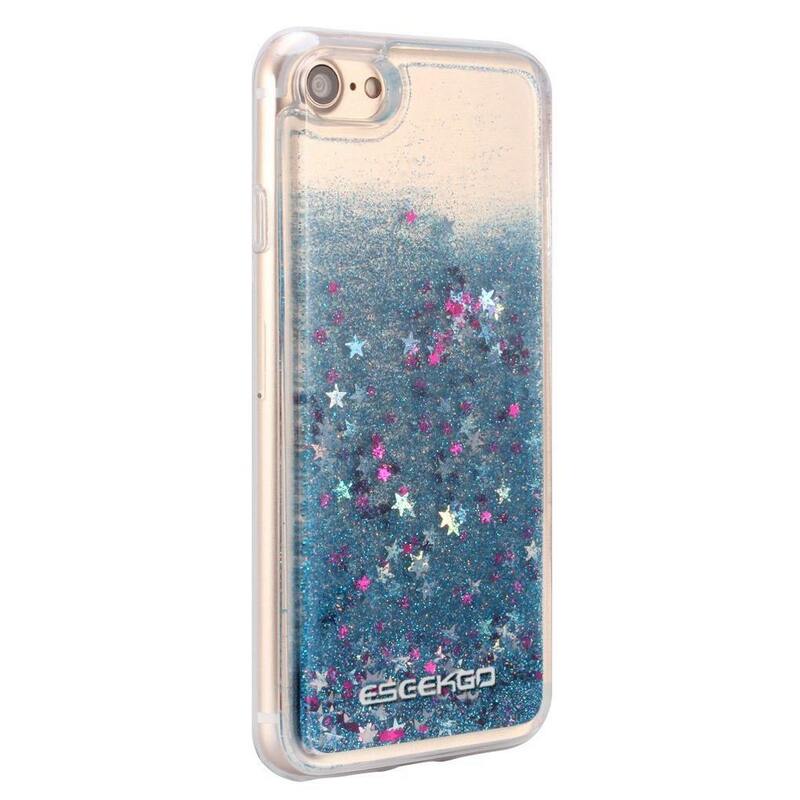 This “Floating Liquid Case” from ESEEKGO is mystifying. 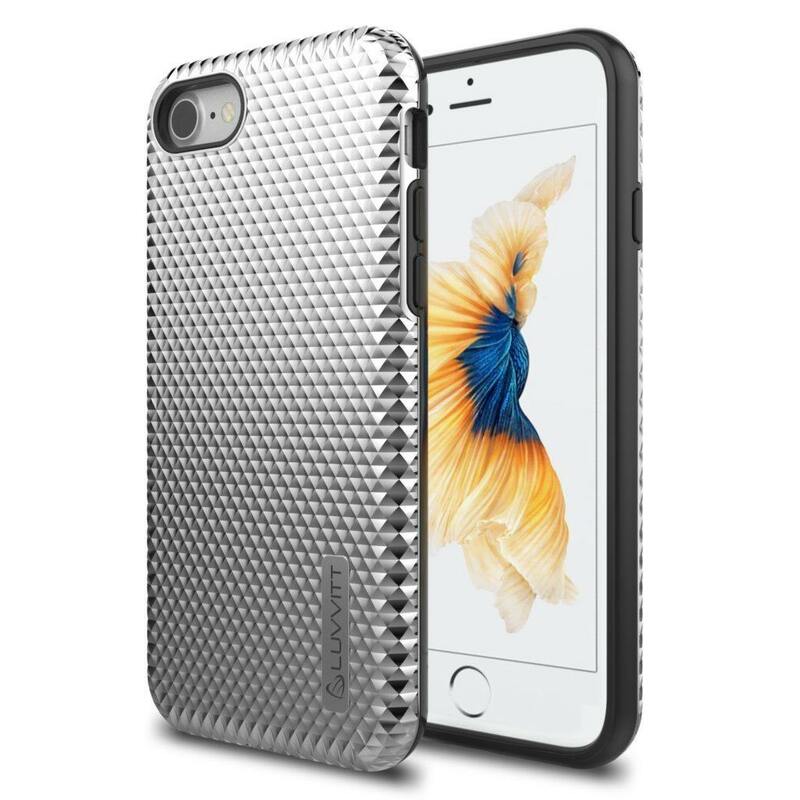 It includes glitter or “Bling,” inside of the case that actually moves when you move your iPhone 7 around. It reminds me a little like a lava lamp (though the glitter doesn’t move on it’s own,) or something along those lines. It’s a definite winner for grabbing attention. Hopefully too many people won’t want to grab your phone without your approval just to shake it. This is a acrylic + TPU blend, that still packs enough thickness for shock absorption. It’s on the lower end of protection capabilities in my book, but it will do it’s job good enough. It’s difficult to find flashy cases that have enough protection, but this one will do the trick. Color Options: Blue, Gold, Green, Hot Pink, Purple, Red, Silver and Rose Gold. This Motcha 2 in 1 Classic case barely makes this list and it’s just survived the review only because of it’s classy design. It reminds me of something you might carry on your night out or while hanging around the bars in a Vegas casino. It’s not the highest quality case to ever get created, but it’s a unique design and it comes at a very, very low price. Assuming Motcha will be around in the future and if you ever run into issues, they claim to provide a life-time warranty. You might spend more on a label shipping returning it though. 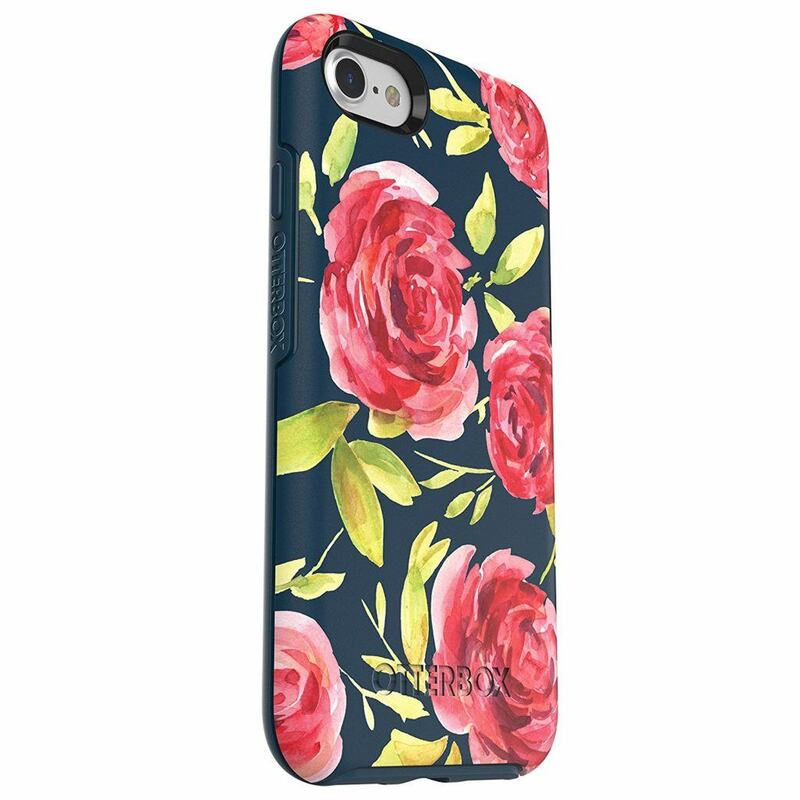 However, it’s a perfect case for switching up your phone designs to coordinate with your outfit or purse. 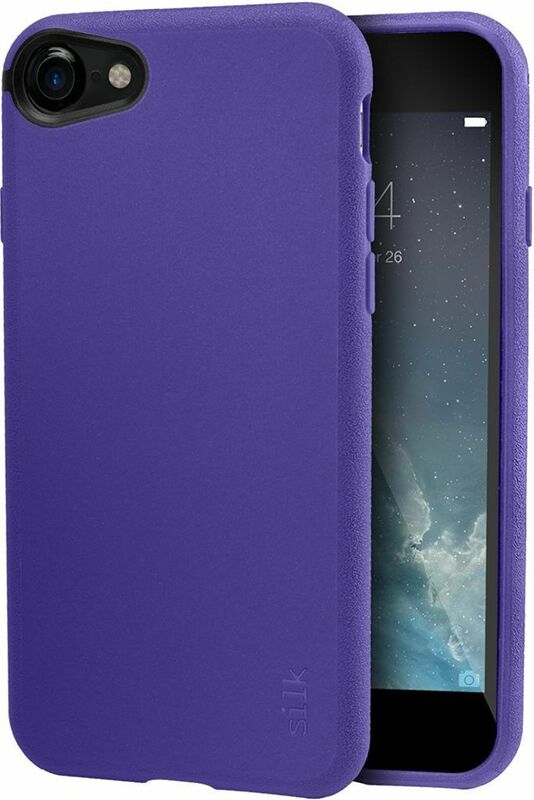 It’s a hybrid, so the interior TPU case, coupled with the exterior shell will do just fine in most situations. Color Options: Diamond Black, Gold Black and Rose Gold Black. 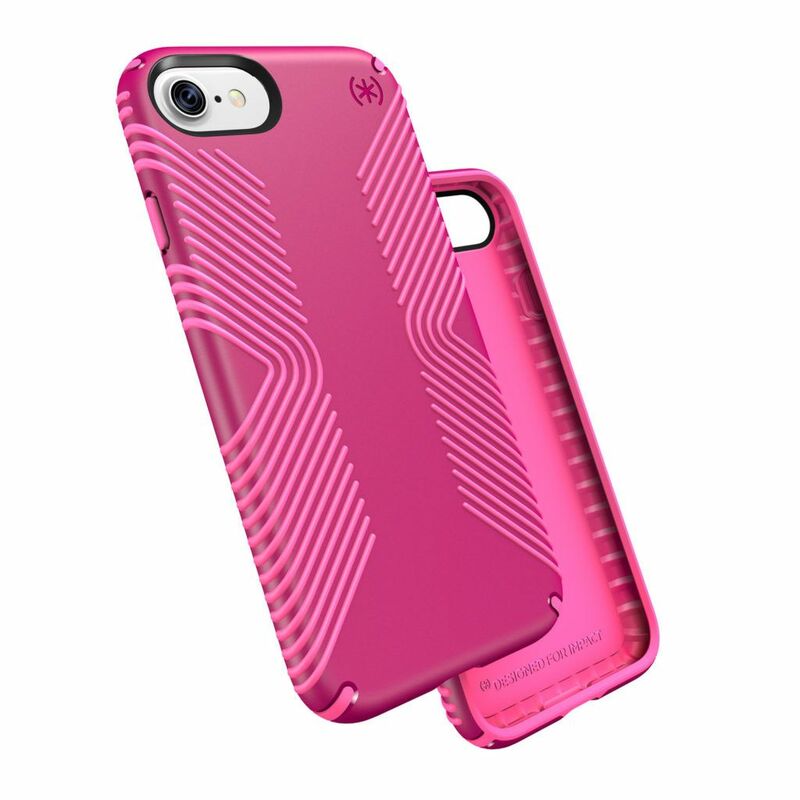 The OtterBox Symmetry is a great case from from OtterBox. I’ve not typically been a fan of most OtterBox cases in the past and I wouldn’t recommend the normal OtterBox Defender or Commuter cases. That’s all because of the cheap feeling plastic materials used in them. The OtterBox Symmetry series is an exception to that issue. 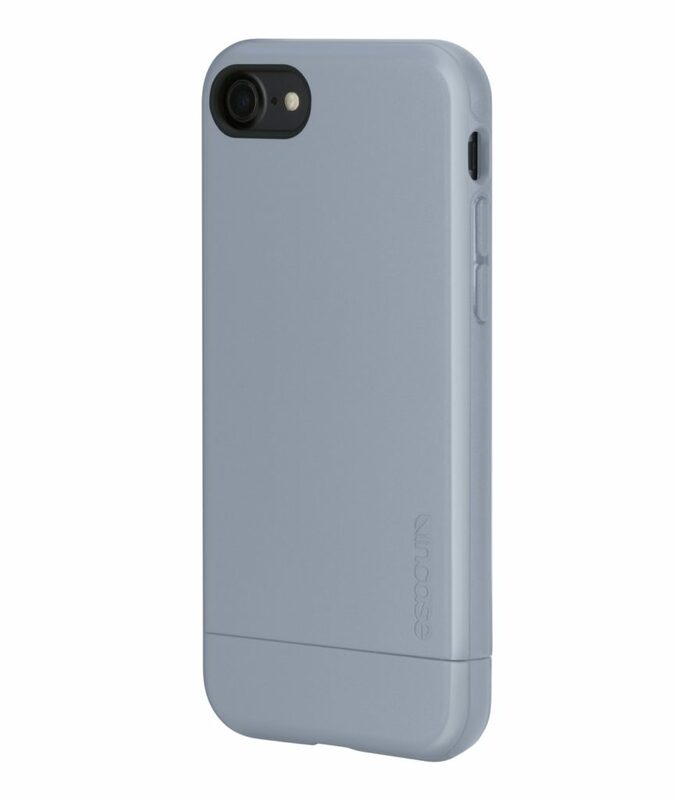 The printed design, provides a different “finish” to the case then the rest of the other products offered by OtterBox. Due to it’s thinner size, it also feels better in the hand than the Defender or Commuter. 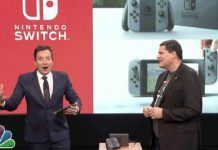 It’s sleeker and has no protruding buttons or funky flaps covering the ports. 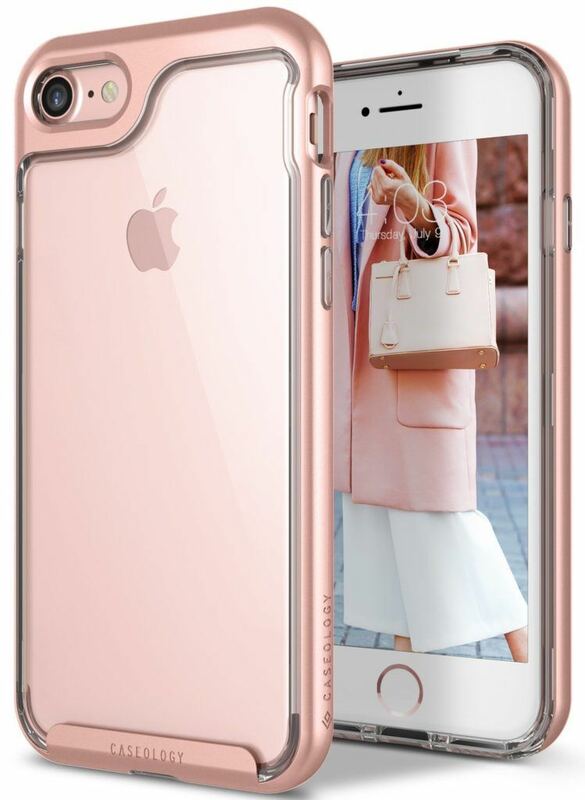 While OtterBox has always been known for durability, this is likely one of the best cases from OtterBox, ever – just because it finally looks better. Color Options: Newport, Firefly, Halftone, Bouqet, Aqua Mint Dip, Confetti, Date Night & Dip Dot. Here comes the “Genuine 24k gold” with the Case-Mate Karat! 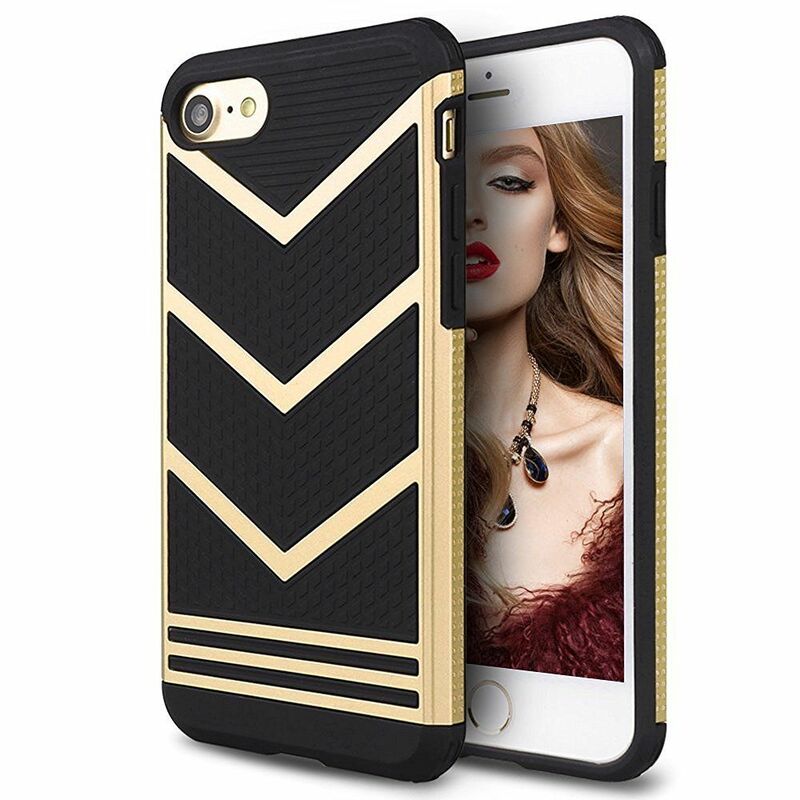 If you’re wearing gold in more than one place, then you’ve met your match of an iPhone 7 Case. This is the best, and gold-est option to ever exist for matching with gold jewelry or accents in your wardrobe. Need I say more? Gold is likely going to be a first choice for many, however Case-Mate has built two other options for someone looking for something shimmery but not quite gold. There is the Mother of Pearl and a Rose Gold option. 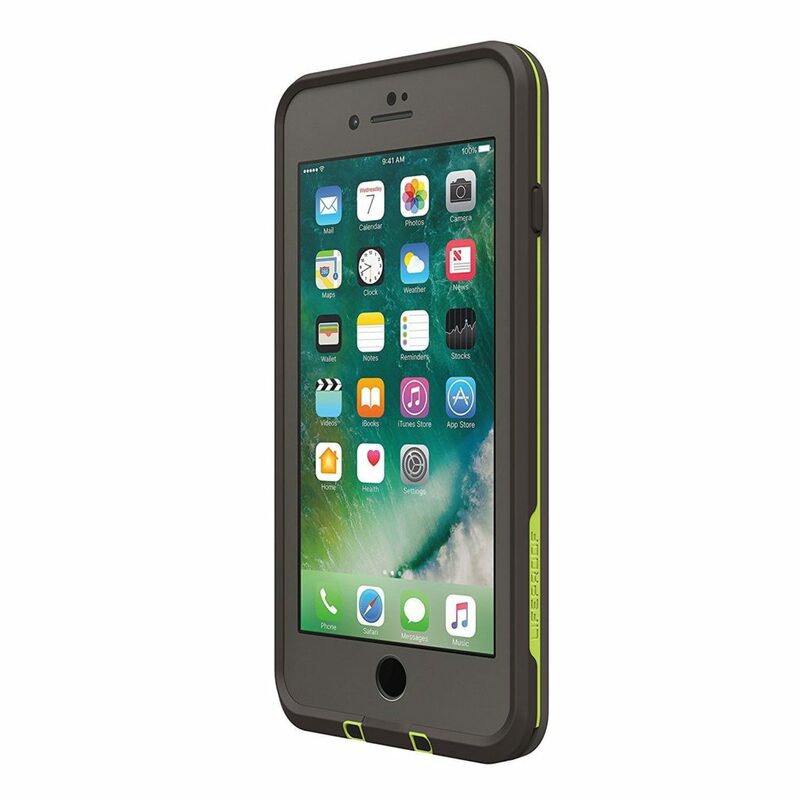 As for durability the case is certified with Military Strength Impact Protection – drop tested to meet MIL-STD-810G standards. Color Options: Gold, Mother of Pearl and Rose Gold. 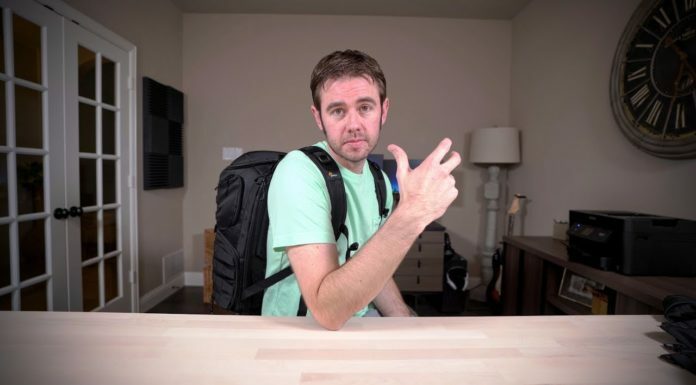 Maxboost, an up and coming case maker graces us with the “Snap Pro.” This is one of the thinnest hard-shell Polycarbonate cases which provide dual-layer shock absorption. The buttons are designed with surrounding cut-outs to provide the perfect tactitle feedback necessary in a great phone case. It also pay’s close attention to detail when it comes to extra interior shock absorption. The interior has a back-inlay that protects the phone from drops and also scratches while inside of the case. You won’t see the orange color from the outside, but it is kinda cool knowing it’s in there. The case doesn’t have full bezel protection, as the bottom of the phone is slightly revealed if using this case. Nonetheless, it might win the best featherlight case award if there ever were such a thing. It’s difficult to find any GOOD cases in purple, so if you are a TCU fan, or have a son or daughter that loves purple, you will understand the issue this solves. Either way, it’s a great case and I kinda like the brand name. It goes along with the case. While a more basic design, the camera cutout is a little unique, seems to cover more than a lot of other phone’s in that particular spot, and the case itself is a smidge thicker than a typical TPU case, so this lends to additional shock absorption where necessary. It’s textured, it’s simple, it comes in purple, it’s a winner. Color Options: Black Onyx, Blue Jade, Gunmetal Gray and Purple Orchid. 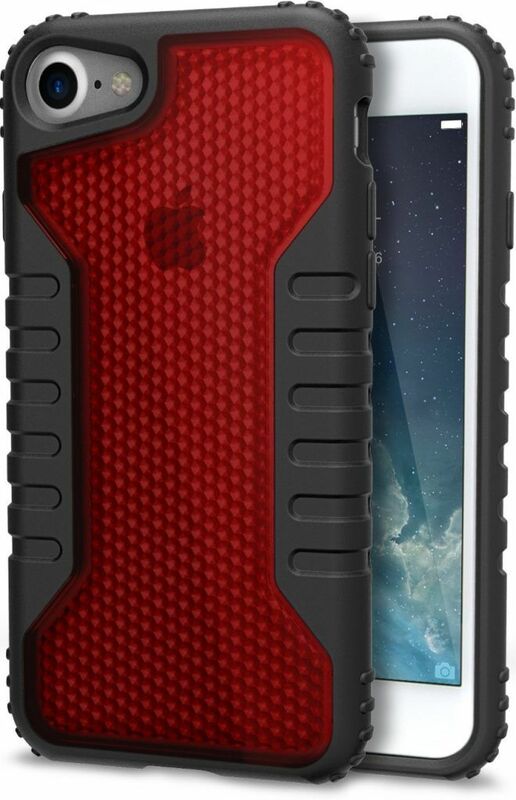 A Very Rugged Case, with extra-cushiony shock-absorption edges. Wrapped around a Polycarbonate core, this additional option from Silk is built for the long-hauls. It’s corners include air-cushion pockets to protect from the nastier spills it might come across. The case is bundled with tempered glass screen protectors, making this option a tough choice to pass up. 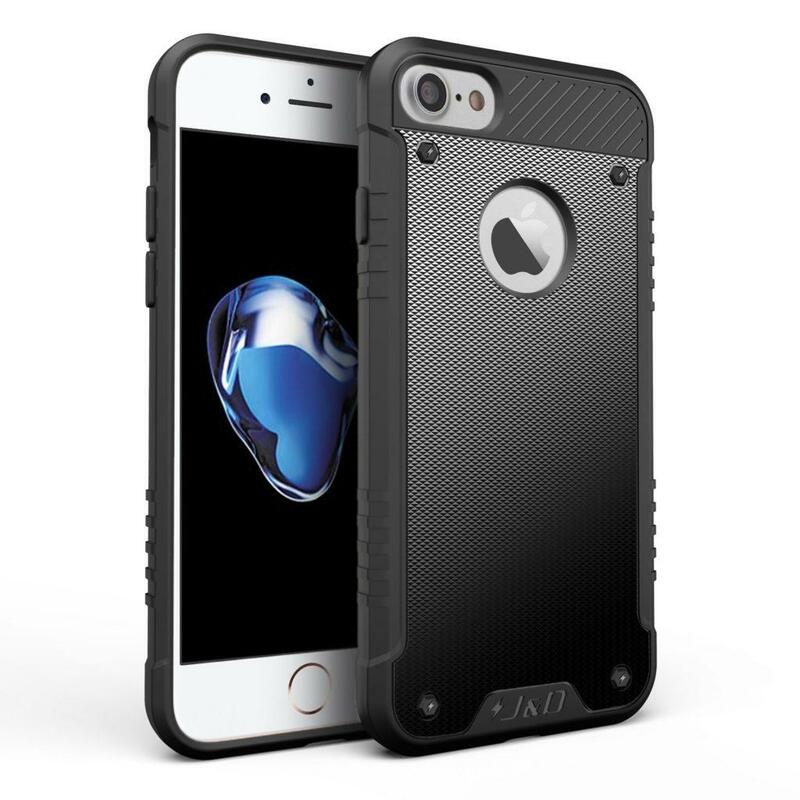 If you’re looking for a rugged case with grip but without the flashy design, this is for you. Do you like Henna, or Flowers? 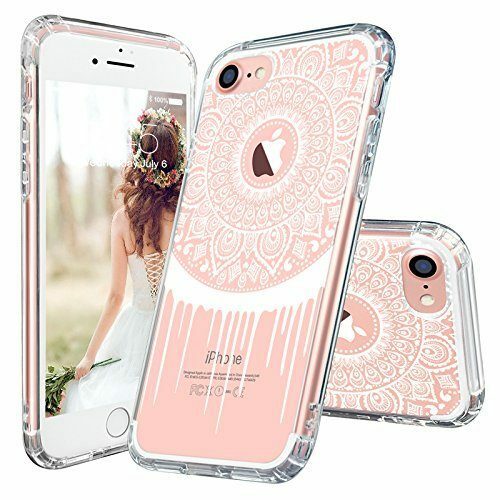 MOSNOVO brings us a welcoming clear TPU and Polycarbonate backed case with artistic prints. It’s thick enough to do it’s job with protection, covers all of the right areas and has style to go along with it. Color Options: Damask Flower, Henna, Henna Flower, Henna Mandala, Mandala, Mandala Floral, Paisley Floral, Peace Mandala, White Henna and White Mandala. 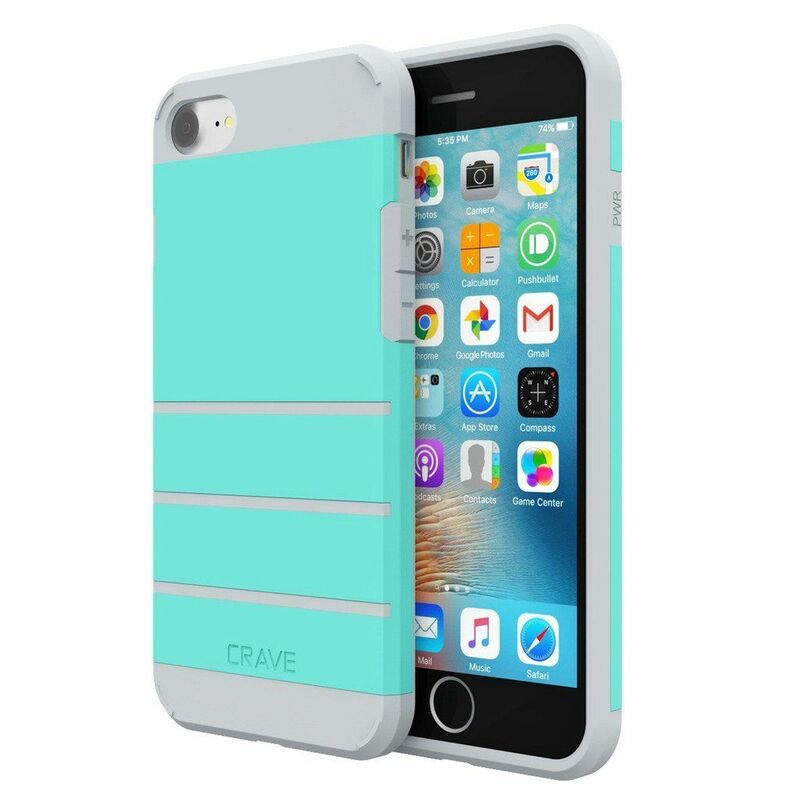 The Crave Strong Guard is slightly similar to the Spigen Tough Armor case although they are not at all related. It has the same modern touch given to it’s button design and it has the full protection surrounding the iPhone 7’s bezel. The Strong Guard is also a hybrid case, or “dual-layer.” It snaps together as one would expect, but the shell seems to fit snug due to the TPU’s grooves that sit flush within the back plate. Ports are easily accessible and the 4 color choices give you a few nice options. Color Options: Navy, Black, Mint and Slate. 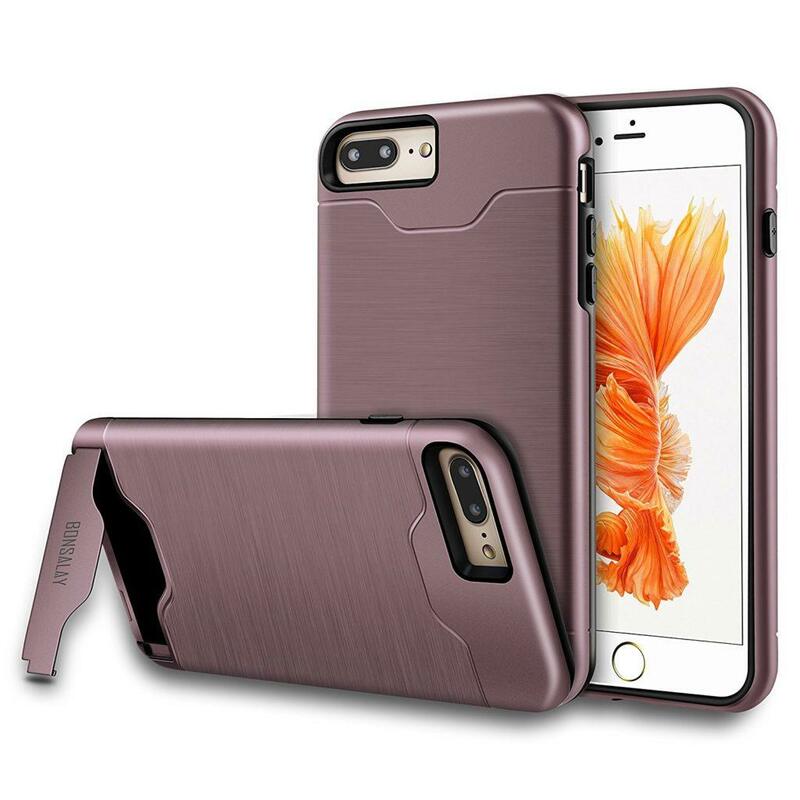 If your looking for a classy case to go with your bare naked iPhone 7, so that it has some protection tucked away into a travel bag, then this is for you. The new Wallet Pouch from Snugg is sleek and has a nice pull-tab to eject the phone. Don’t worry, the pull tab won’t launch your iPhone 7 into outer space, it only goes as fast as you want it to. It handily stores at least one credit card, but after some breaking in the leather (faux leather,) you might be able to fit more. I really like the grey over the other colors, but all 3 of the color choices will coordinate with just about any outfit. 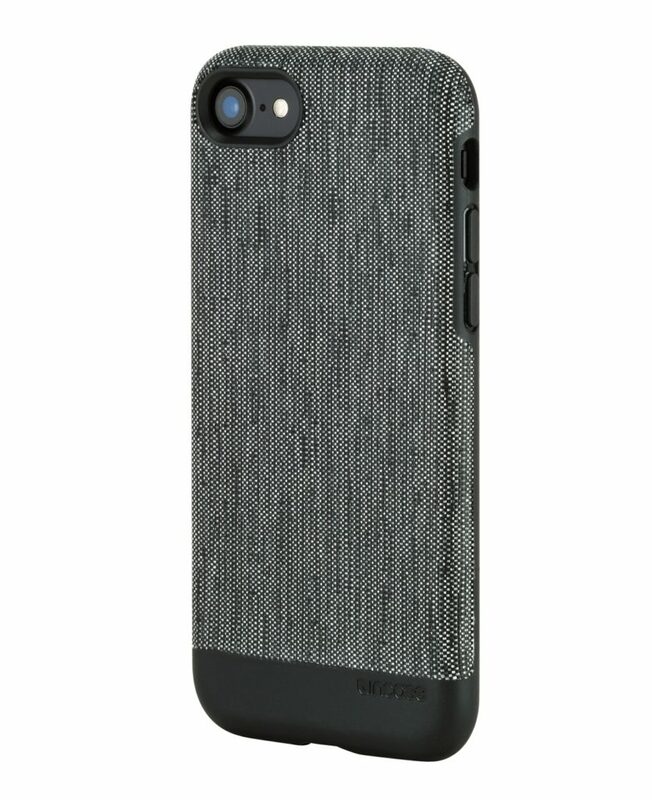 If you do walk around town without an actual case on your phone, I recommend at least styling your iPhone with a Skin. It would work very well with the Snugg Pouch and likely won’t see any peeling issues like you would while using more rigid snap-on cases. Color Options: Black, Brown and Grey. Dreem is at the top of the charts with a cost-effective wallet case that also provides a detachable phone case. The Dreem Detachable Slim Case works well, though it doesn’t fully cover the entire border of the iPhone 7, it has enough screen lift and corner protection that it’s still a safe bet. Conveniently, you can leave the wallet portion behind and just carry the phone with you or snap it into the wallet when your heading out. The wallet includes hidden magnets, and the case has a thin metal plate allowing the two to attract together (magnetically speaking.) 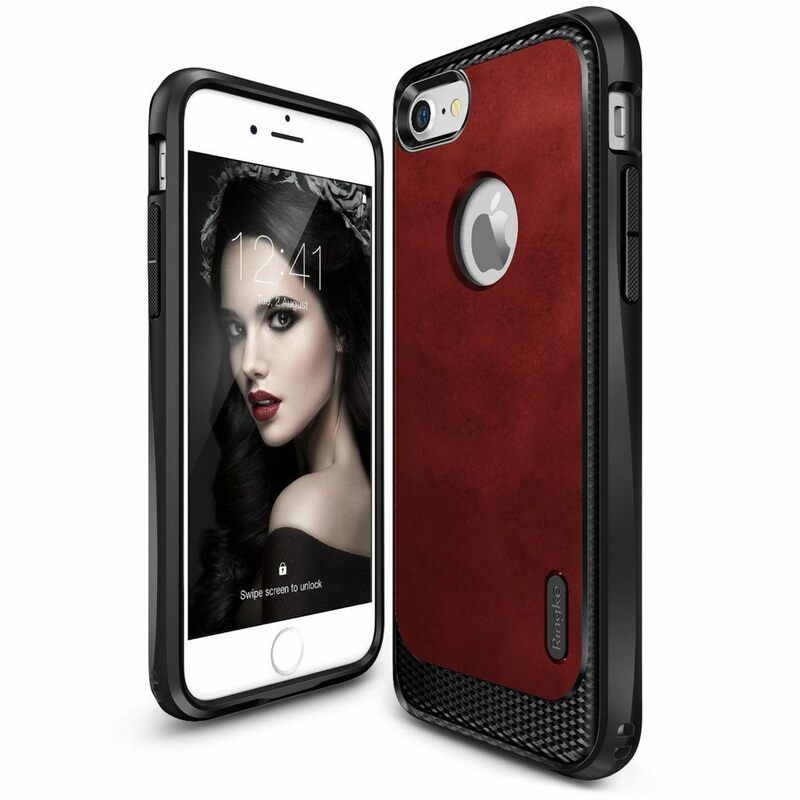 Cases like this are not very readily available, but this is one of the best in the market. Color Options: Black, Brown, Coral Pink, Dark Blue, Dark Brown, Dark Gray, Red and Teal. 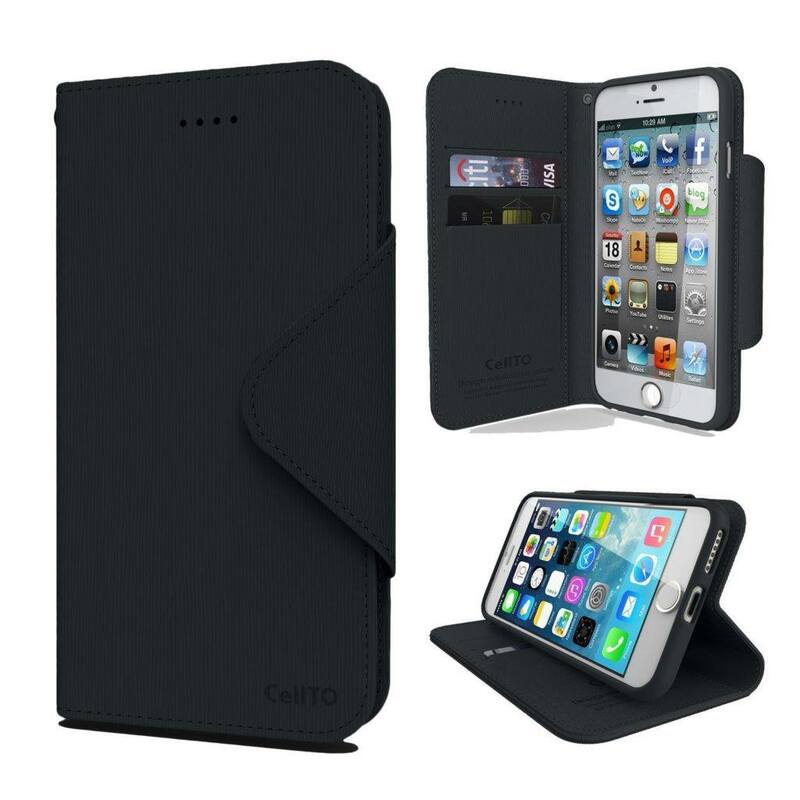 The Wallet Case from Cellto is for the minimalist looking to stash a few cards and to utilize a built-in stand for media consumption. I like this case because of it’s simplicity, but also because the grain and precision reminds me of something that Montblanc might create. While it’s no where near that price point, it looks surprisingly high-quality for the price. It’s synthetic leather, which means it can still take quite a beating and survive. The interior phone case isn’t removable, so keep that in mind. 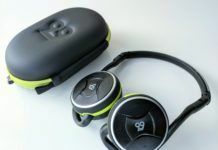 The clasp includes a double sided magnet so that it can flip to close, or flip to stay back and out of the way while in use. Color Options: Black, Black/Brown, Hot Pink/Baby Blue, Mint/Purple, Navy Blue/Brown, Navy Blue/Mint, Pink/Black and Wine Red/Black. RANVO has created a very unique design that I wouldn’t doubt is patent protected, or I would at least hope so. I have attached an additional image above so that you could see a visual of how this case is assembled. Words just wouldn’t be enough to describe it. 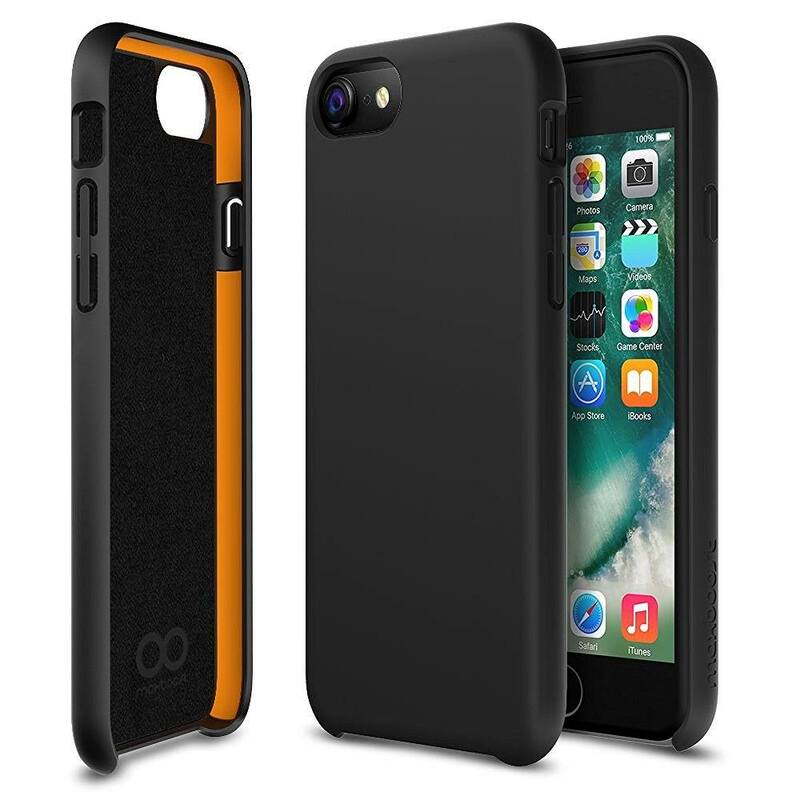 The Ranvo 3-in-1 is a thin hard shell case that covers every millimeter of the iPhone 7’s border without the bulk. The top and bottom snap-in pieces are both electroplated. It’s a solid buy. Bonsalay, another up and coming brand, has created a thin hybrid case that not only has a kickstand, it also holds a credit card or two. 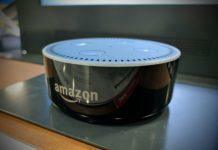 The interior layer is TPU while the outer shell component is made out of “Premium” Polycarbonate. The textured finish is a nice touch, but it’s only for aesthetics. It won’t provide any additional grip so it’s a little bit on the slippery side. The Kickstand is a nice feature to have in a case this small and is better than some other built-in stands that I’ve come across. Color Options: Black, Mint Green, Navy Blue and Rose Gold. TILL has been more experienced with Android phones in the past and with this new Ultra Slim 3 Color, they’ve come up with a colorful case that has a hidden feature for the iPhone 7 or 7 Plus. Inside of the case, which isn’t noticeable to anyone who just see’s the case form the outside, has a storage slot for 1 credit card. You might even be able to squeeze some cash in there in place of a card. 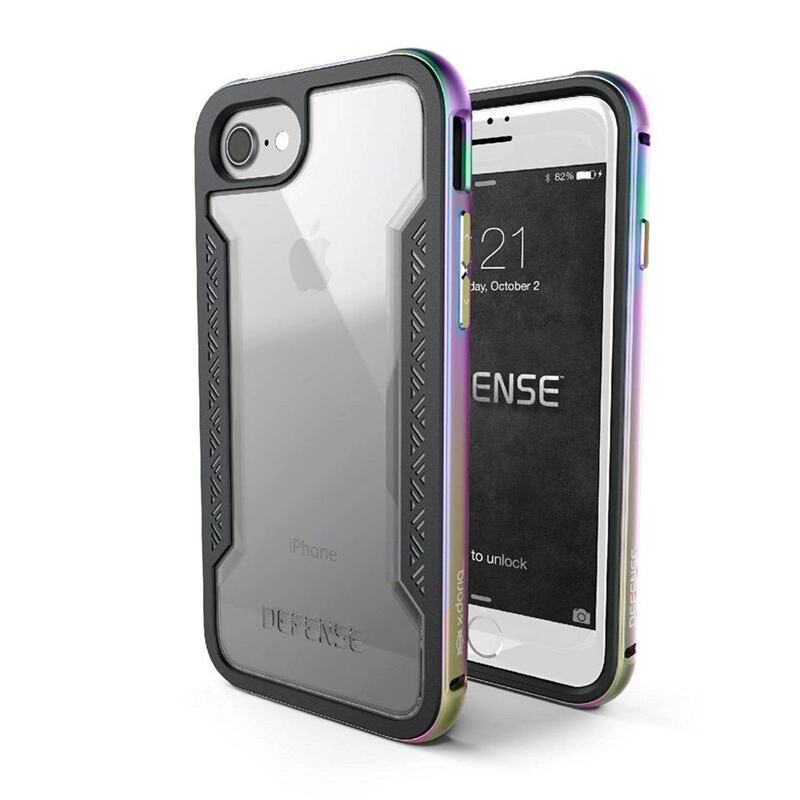 It’s bold, it’s colorful and it protects all of the necessary surfaces in your iPhone 7. It even has a lanyard slot, which makes this a great case for the kiddo’s. 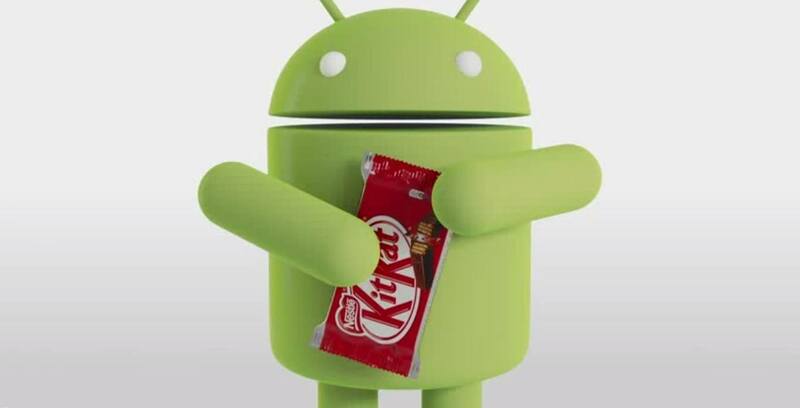 It’s a worthy choice if you want colorful and a secret stash inside your phone. Color Options: Blue, Gray, Purple and Wine. Another case option from Till, that stores a credit card. This time, it’s visible from the outside but with an extra perk. 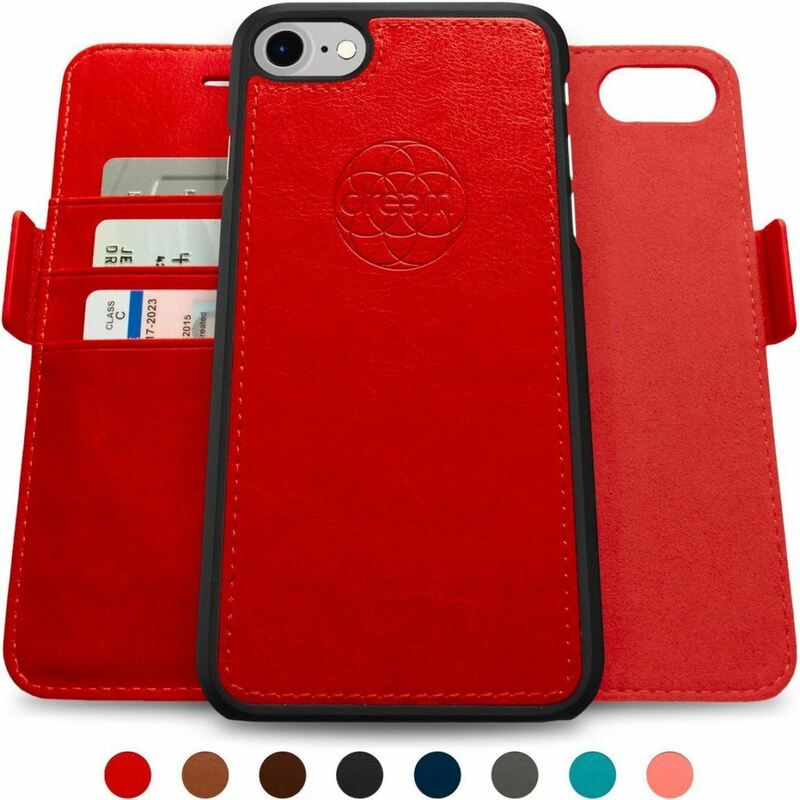 The case has a unique groove on it’s exterior that allows you to take your credit card out of the phone’s case and use it as a kickstand. It’s a bit of a MacGyver way of going about propping up your phone, but the case is well designed and is versatile. Color Options: Black, Gold, Hot Pink and Rose Gold. The J&D TPU Case, has a variety of textures and patterns that help this case to stand out from the TPU crowd. It’s an all-black design, but it’s likely not one that you will see very often. 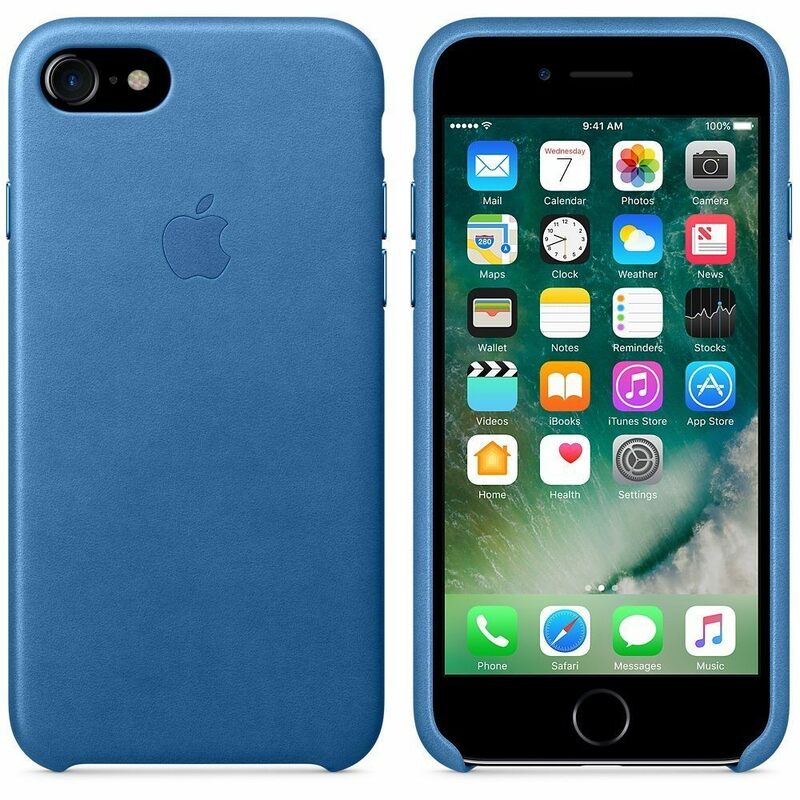 This is a good, all-around protection case that’s not too thin and not too thick and packs enough grip for your iPhone 7 and 7 Plus. While black cases are some of the most popular, it’s always good to have a variety so I wanted to add the J&D case into the list. Again, it’s surprising how much can be done with TPU material and high-detail molds these days. 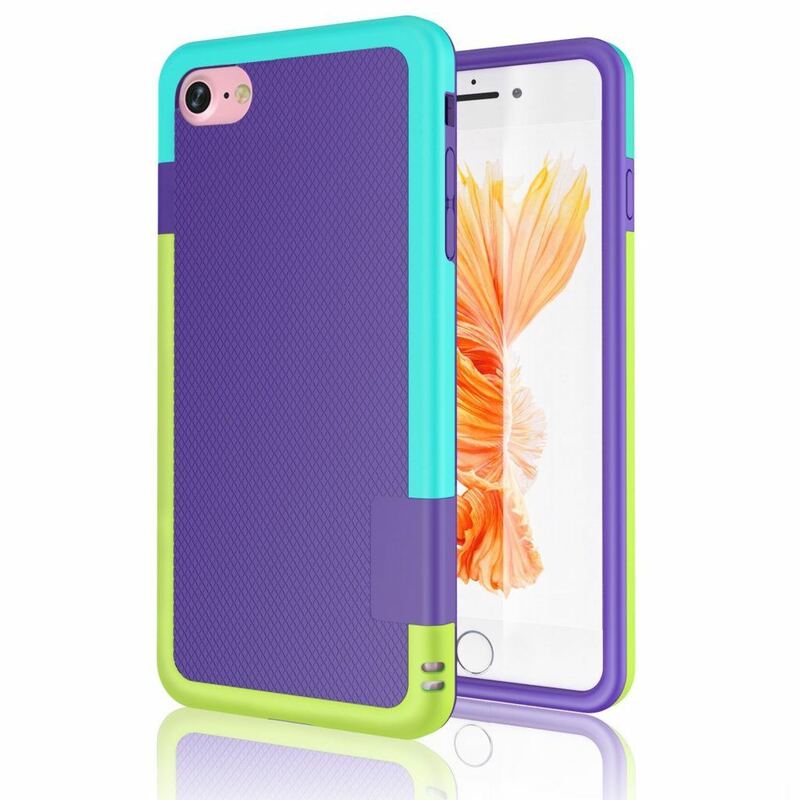 This case is among the top of the TPU case list because of aesthetics and fit. The only complaint might be is that the buttons aren’t the easiest to press, but with time they should get a little easier. 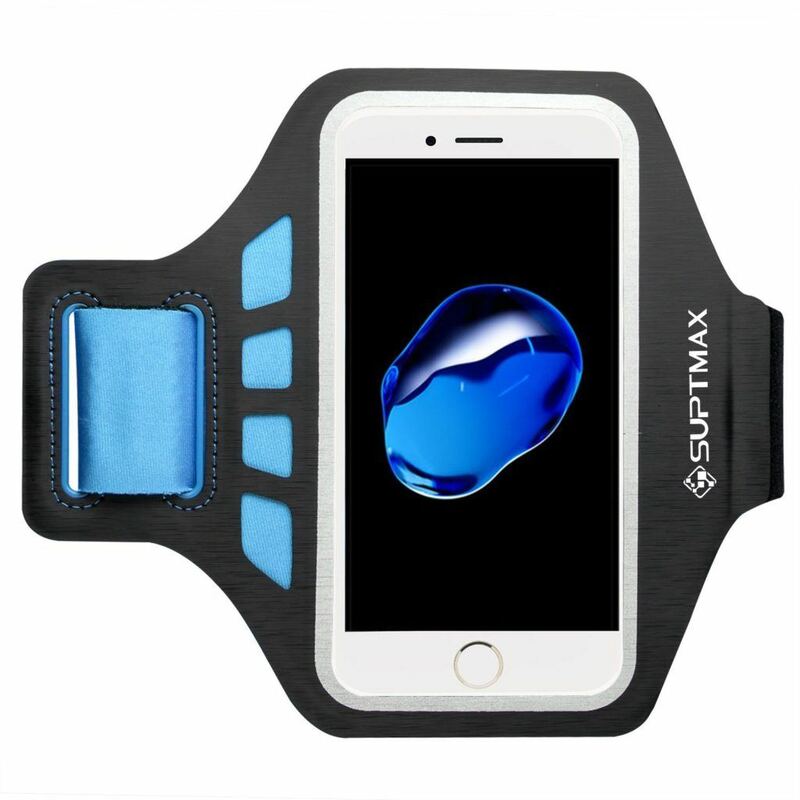 If you’re in need of an armband for your workouts and don’t want to switch cases or rely on the SUPCASE option previously mentioned, this is your cheapest and most effective alternative. 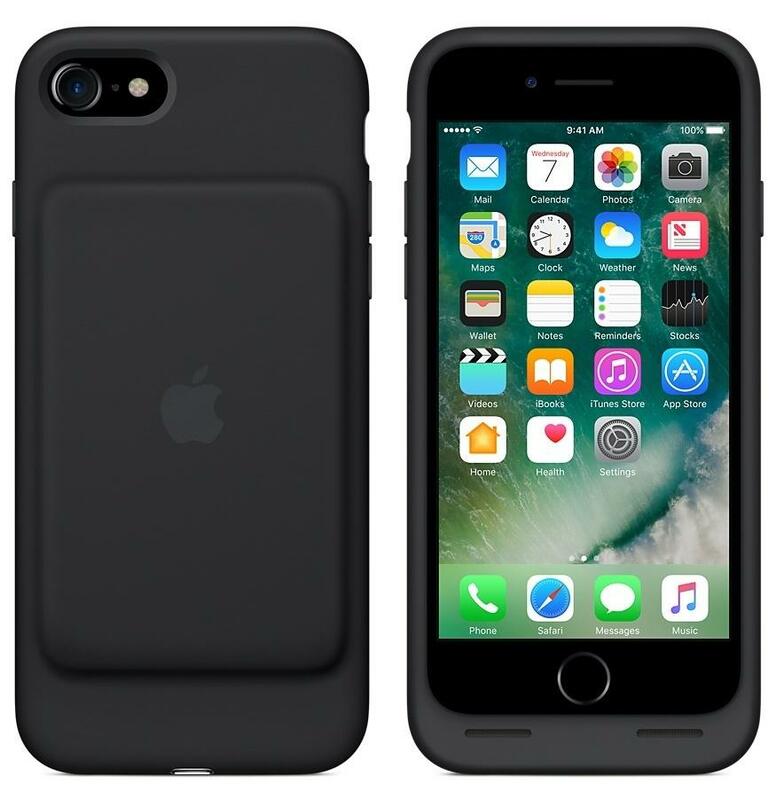 Your iPhone 7 will easily slip into the sleeves pouch, as long as it’s not rocking a heavy duty rugged case. You won’t be able to use the Touch-ID with this armband, since the screen is fully covered. However, it’s a great light weight armband, that can be hand-washed when the time comes. Oh, and it also holds a credit card or “key” card! It will last a daily runner, 2-3 months, and someone who’s using this only a few times a week, 3-6 months before it becomes too worn down. But they are cheap enough where you could pick up 2 or 3 and never skip a beat. Color Options: Blue, Black, Rose Red and Green. 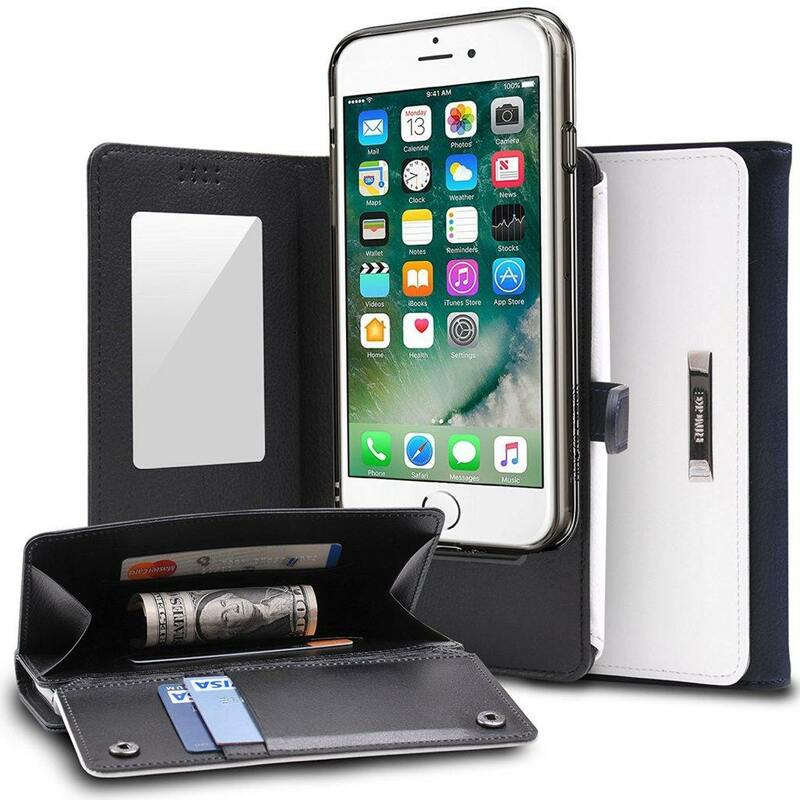 Made by Apple this leather case for the iPhone 7 comes in a genuine leather material. It’s still one of my favorite cases for the iPhone 7. 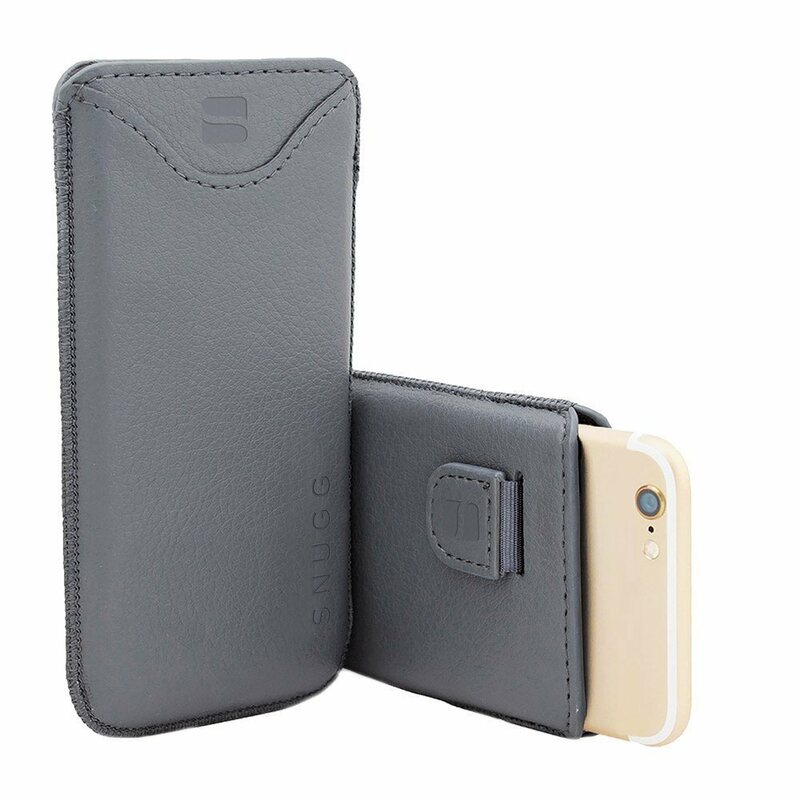 This case provides a certain grip not easily found in other cases, due to quality fine-grain leather texture. It really is a superb case, with a precise fit. It only lacks full protection of the phones border since the bottom portion of the phone is left unprotected. I recommend staying away from the lighter colors if you plan to frequently slip this into jean pockets. The dye from your pants will undoubtedly transfer onto the cases leather. 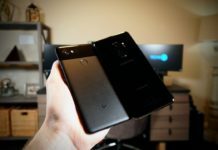 I couldn’t leave the infamous DBRAND Skins off of this list. 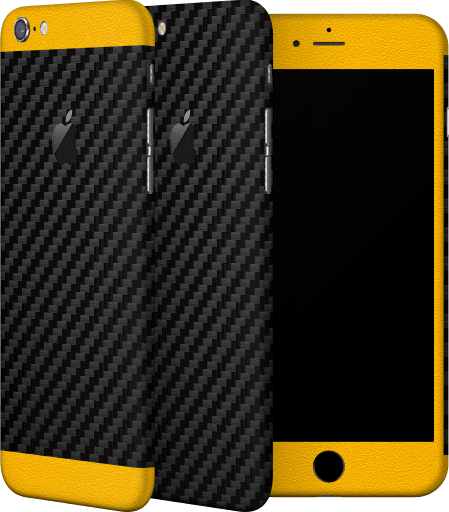 They produce some of the best skins to ever go around for a mobile device. Being that this “Best iPhone 7 Cases” list has multiple options with clear backs, it made even more sense to make mention of the DBRAND skins. Pairing up a skin with a case that includes a clear backing, creates a harmonious solution for a near infinite combination of unique ways to style your iPhone 7. They do require some patience and some time to apply. Having a hair dryer is almost a pre-requisite, but once applied they can make your iPhone 7, iPhone 7 Plus or any other mobile device for that matter, really stand out. Color Options: Far Too Many to List.